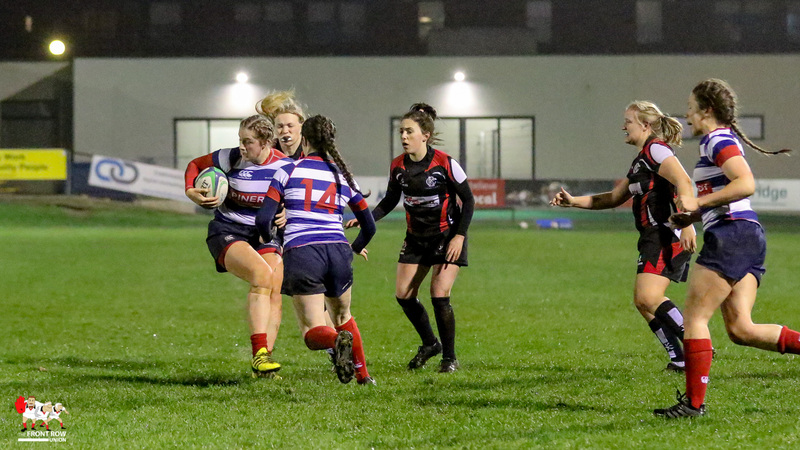 Saturday 1st December 2018. 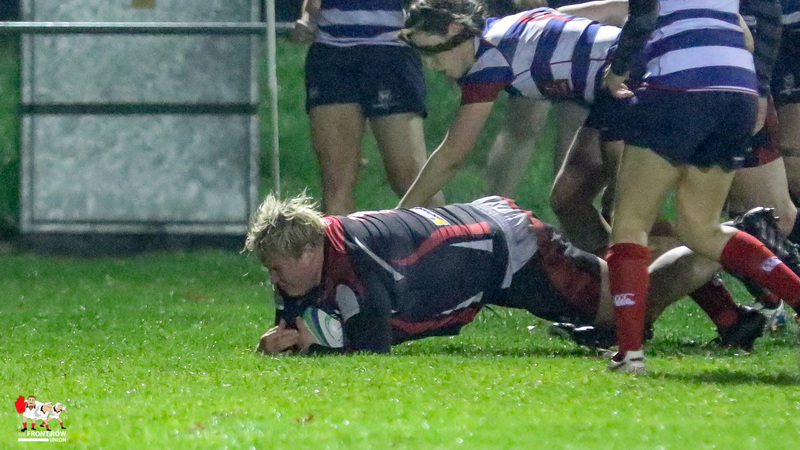 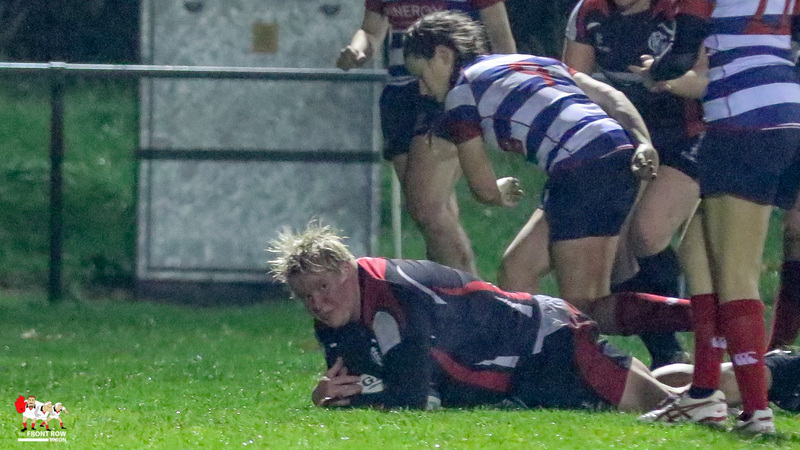 Jackie Shiels scores the deciding try for Blackrock College. 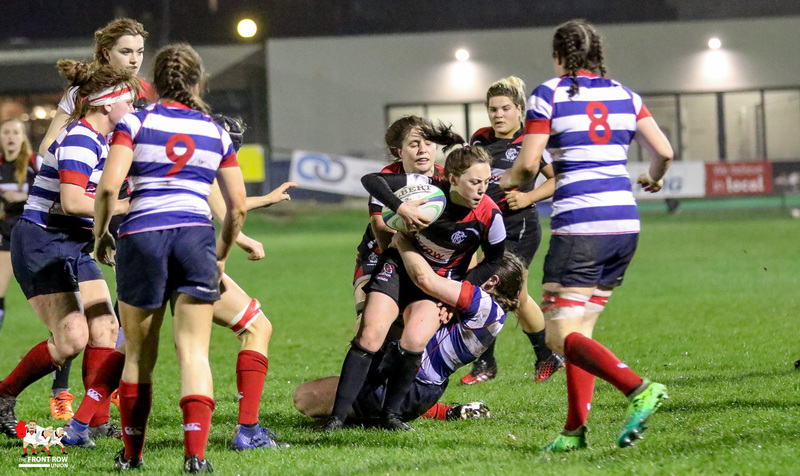 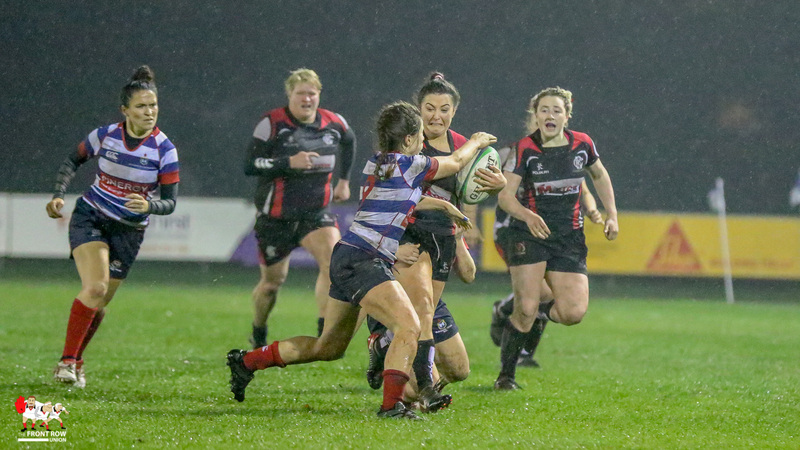 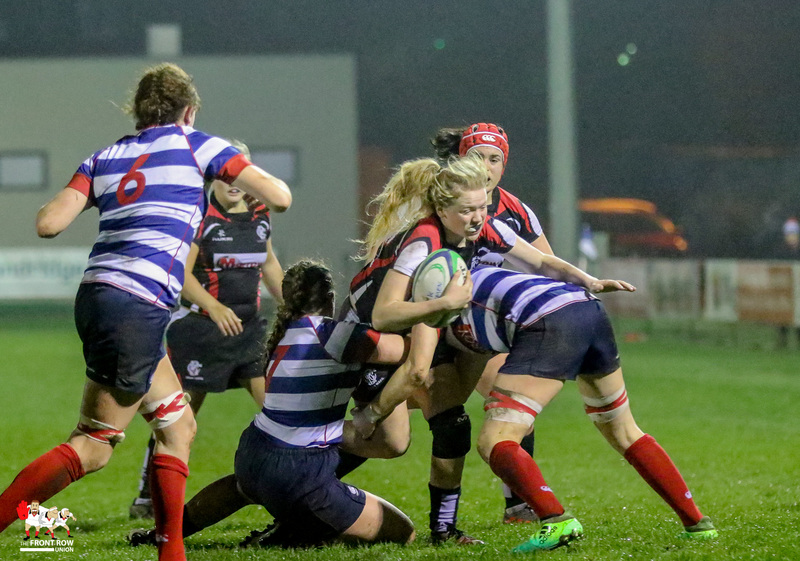 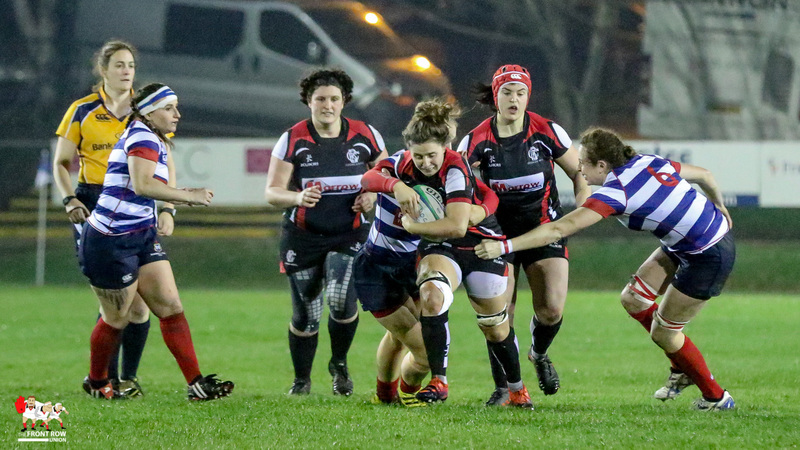 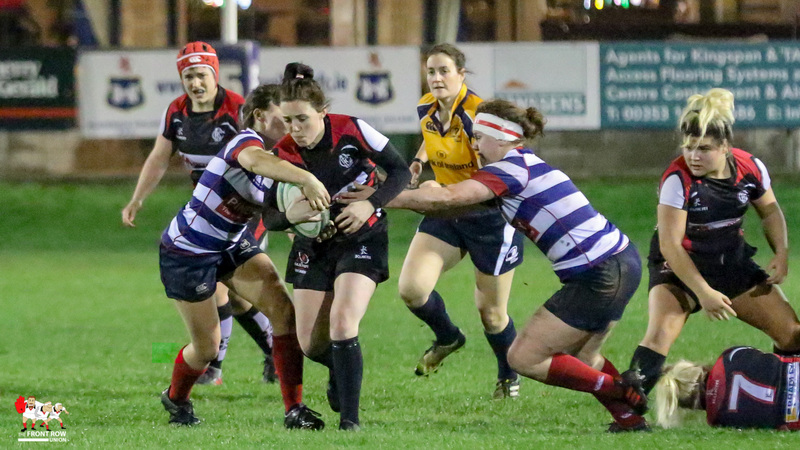 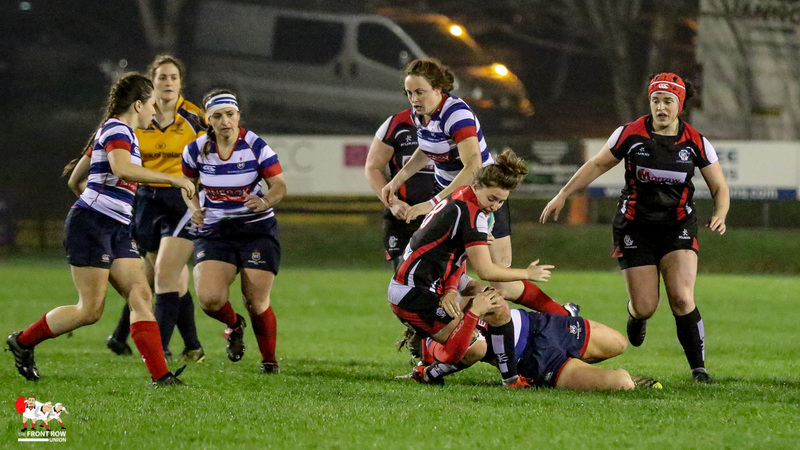 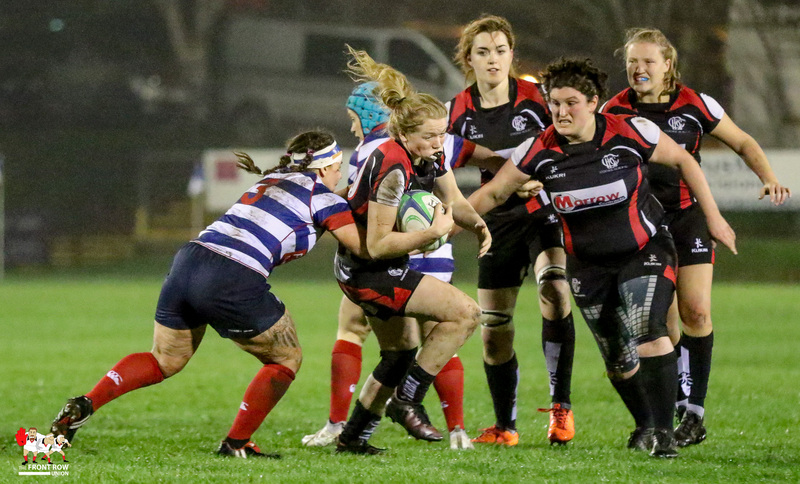 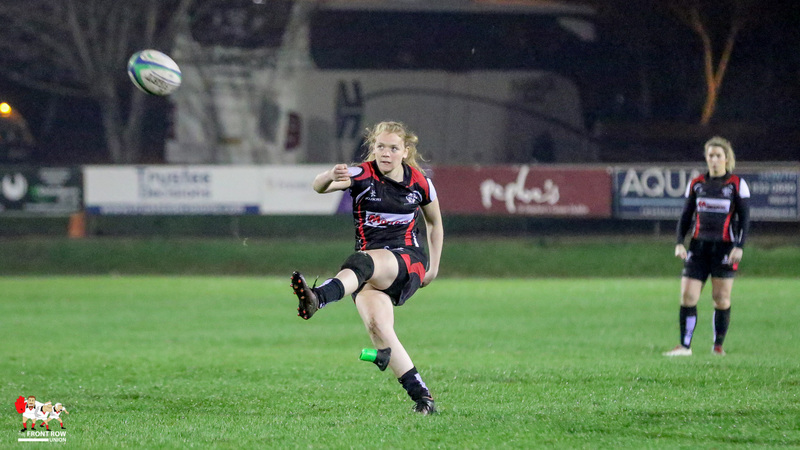 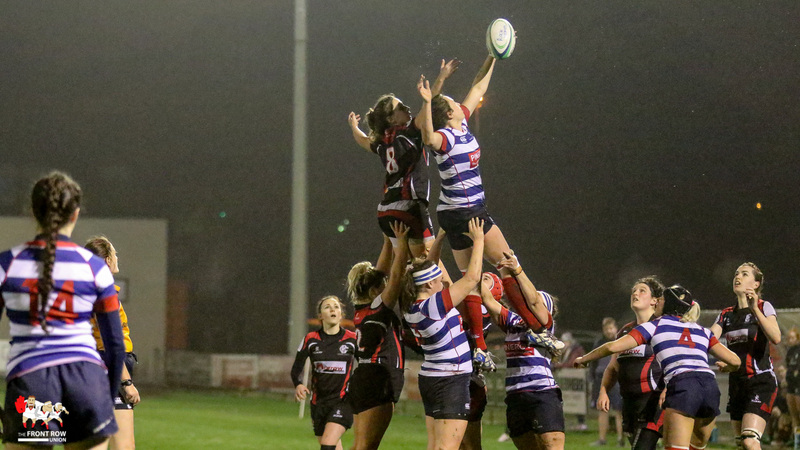 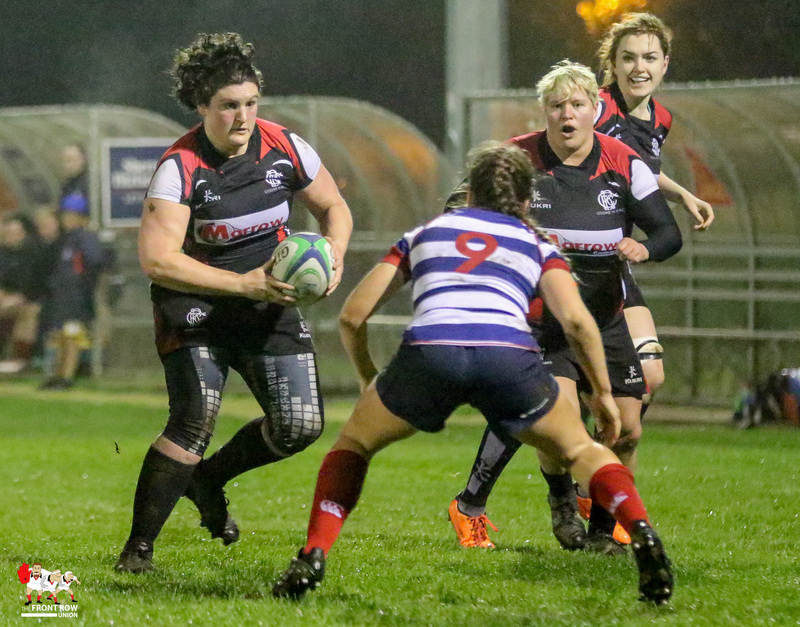 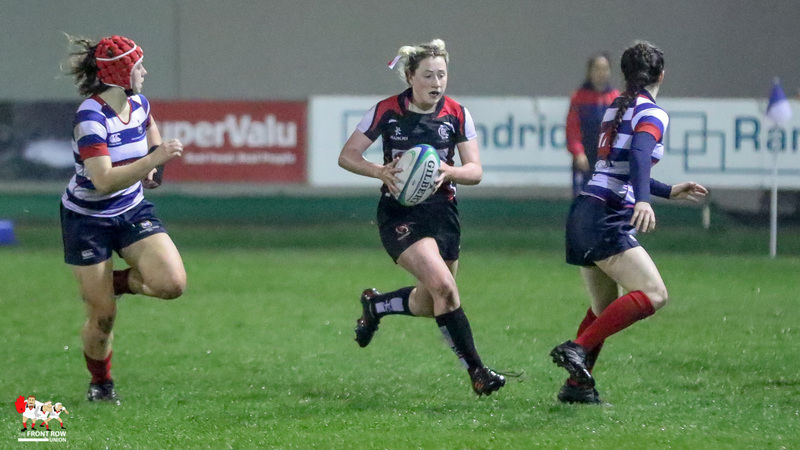 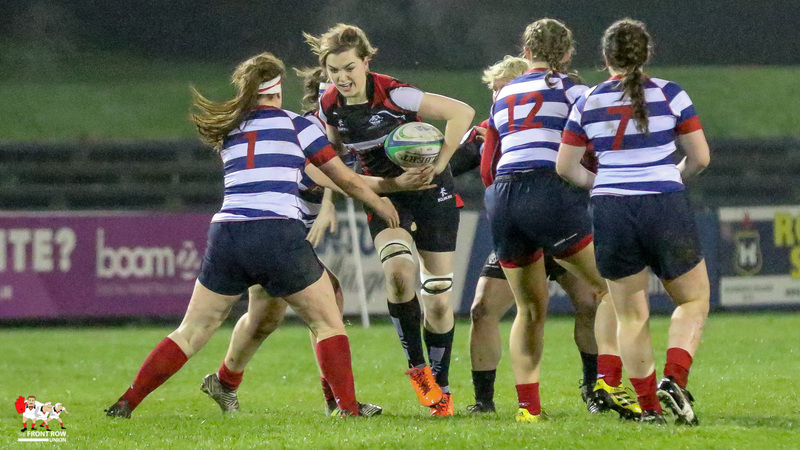 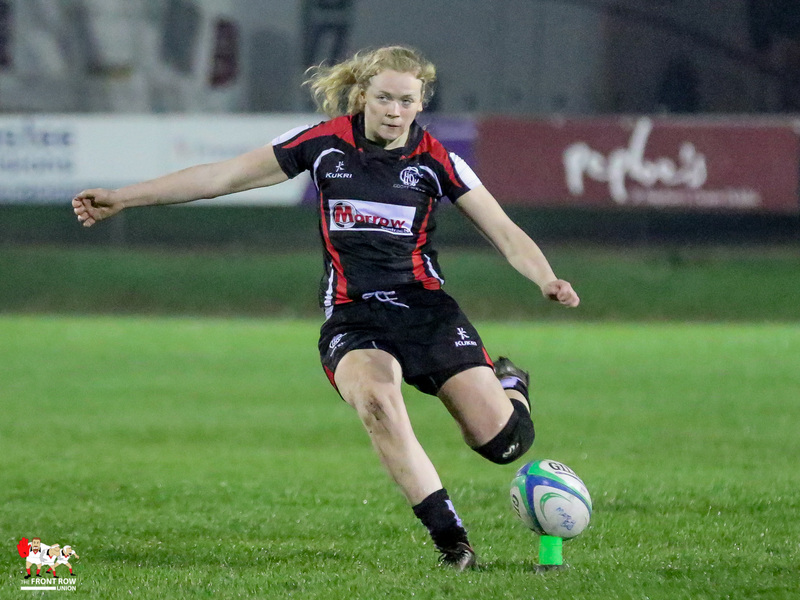 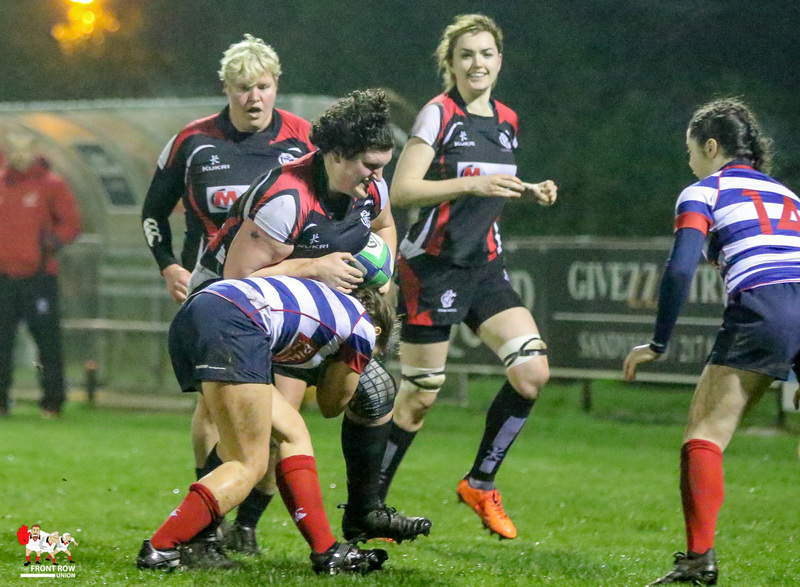 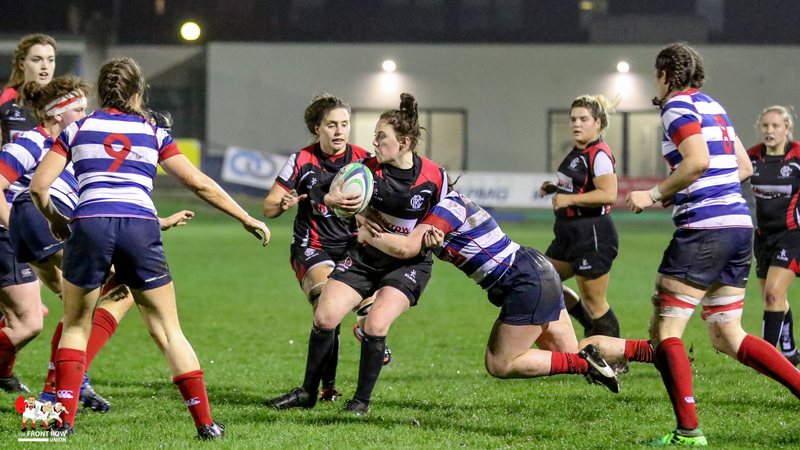 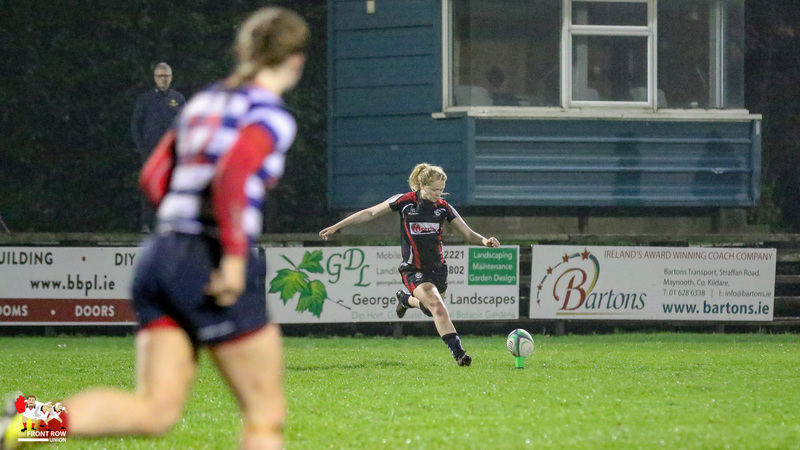 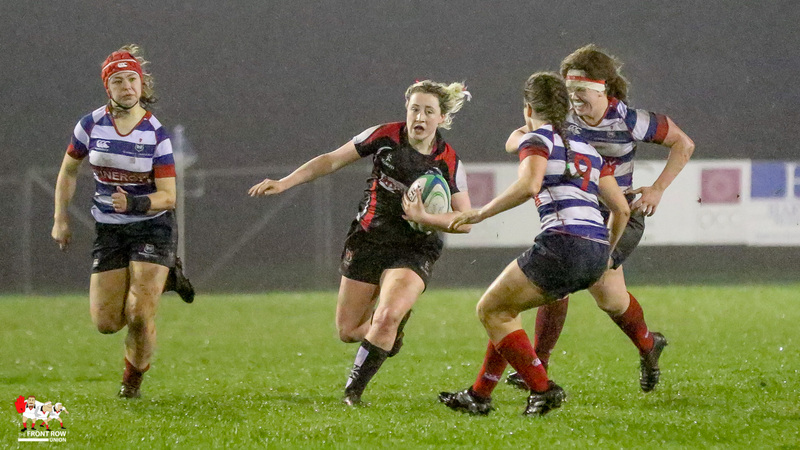 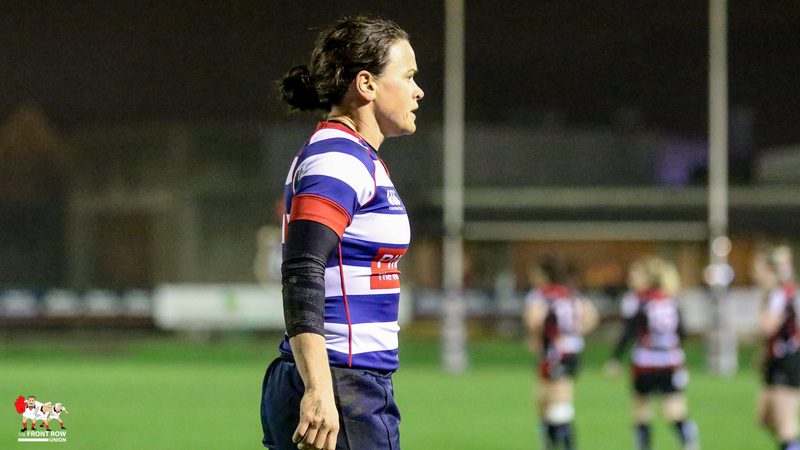 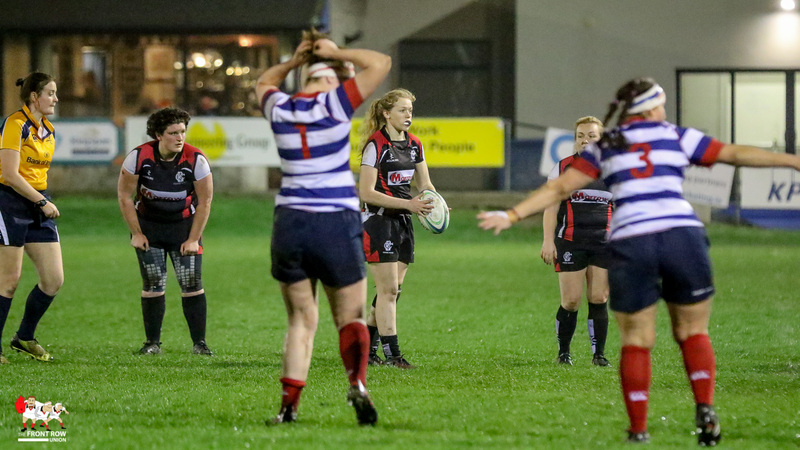 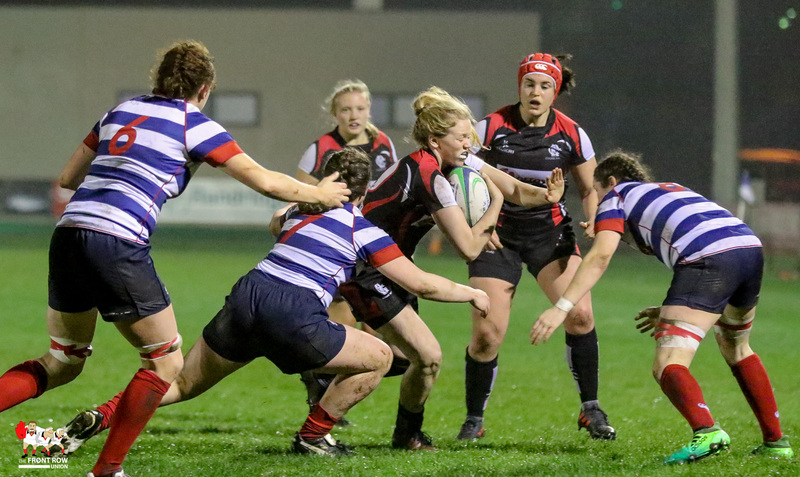 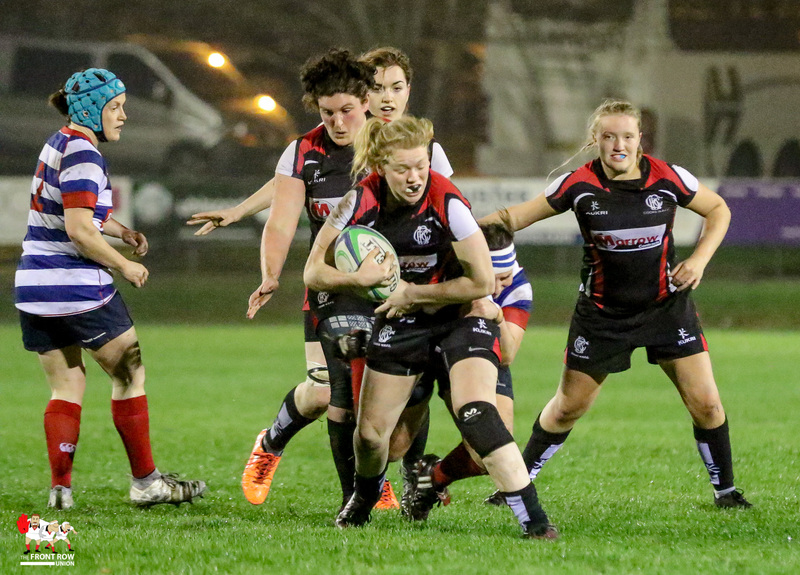 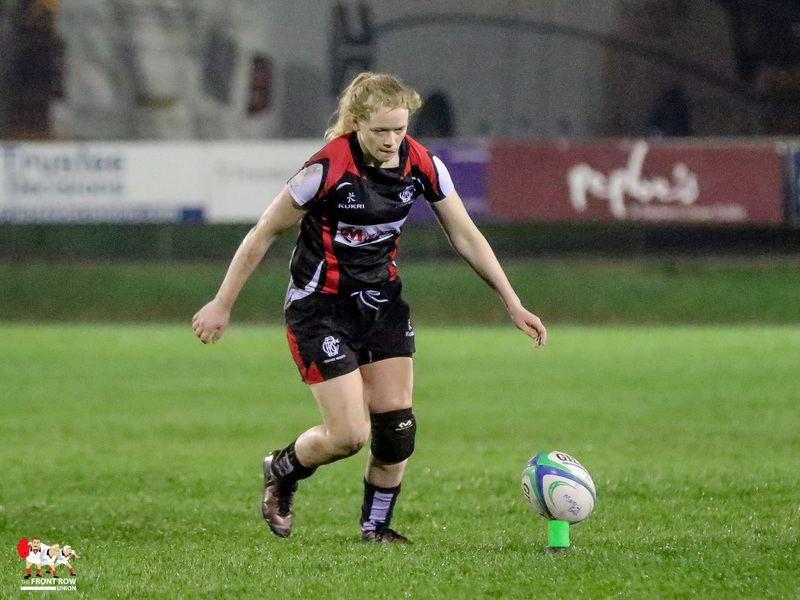 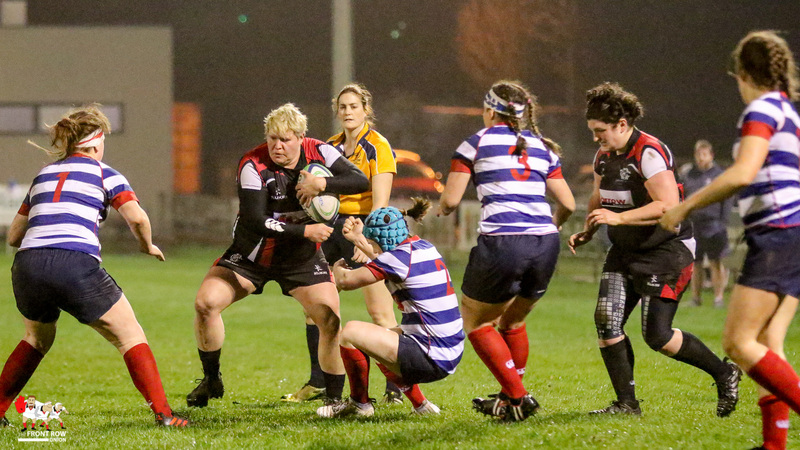 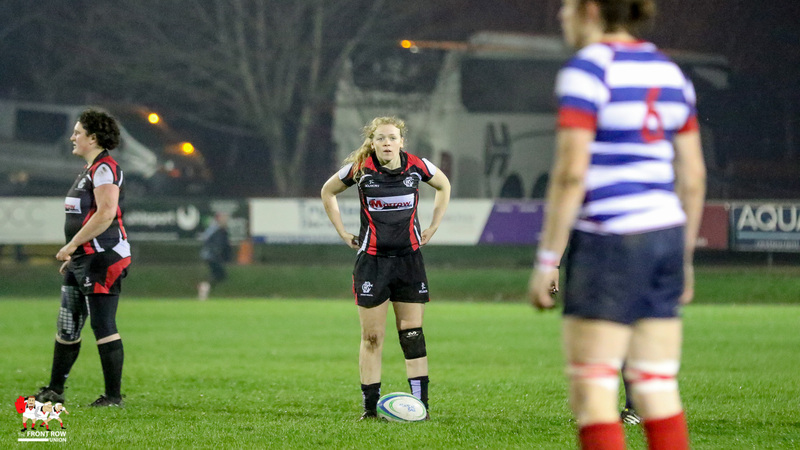 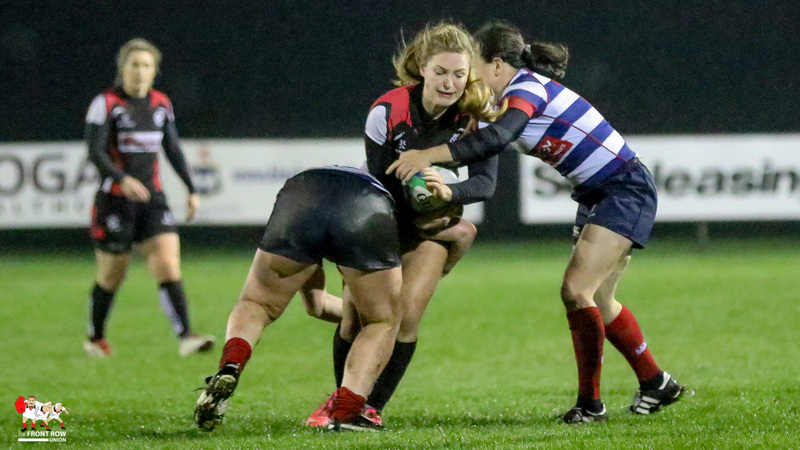 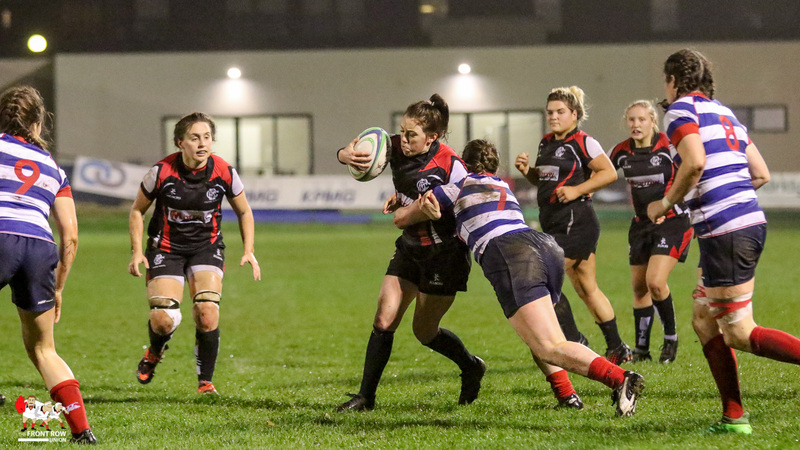 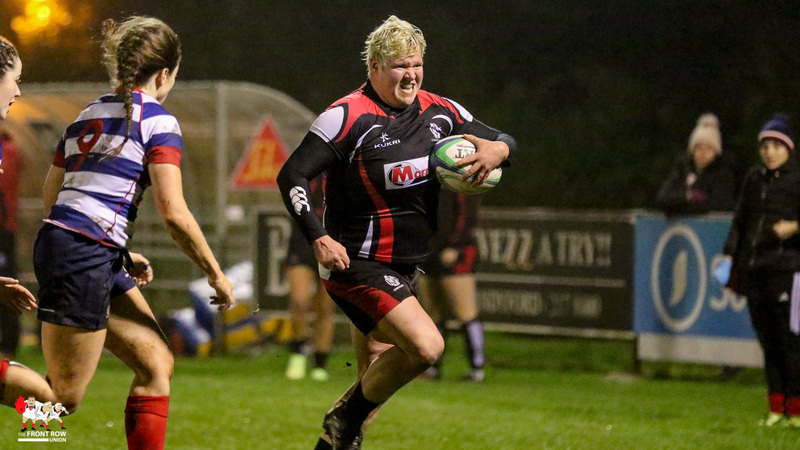 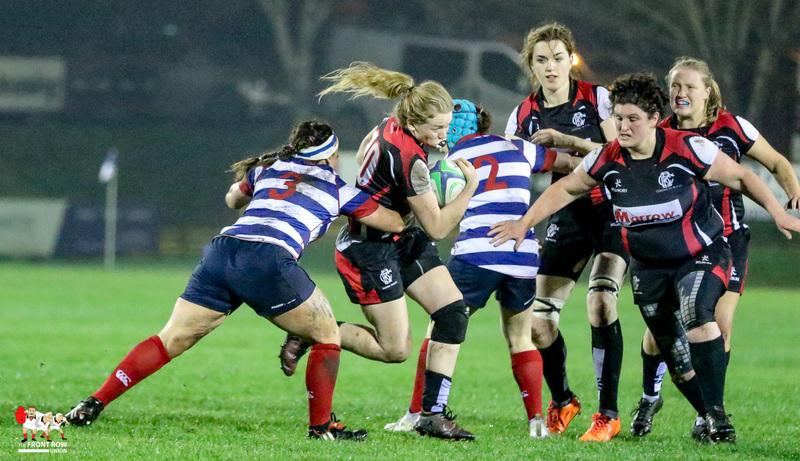 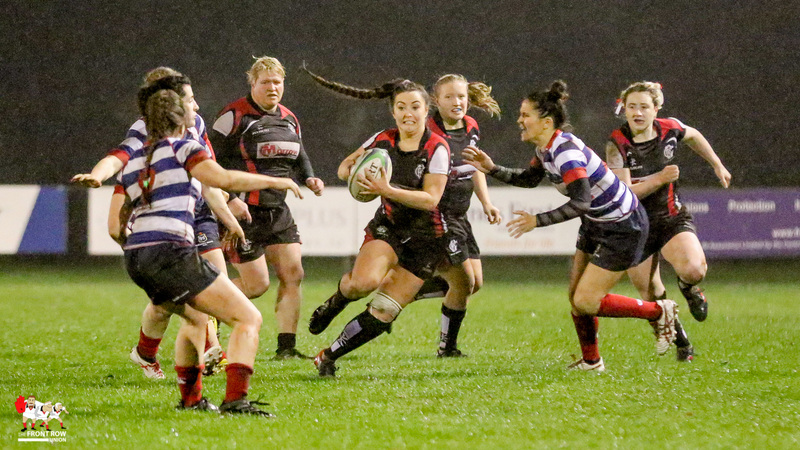 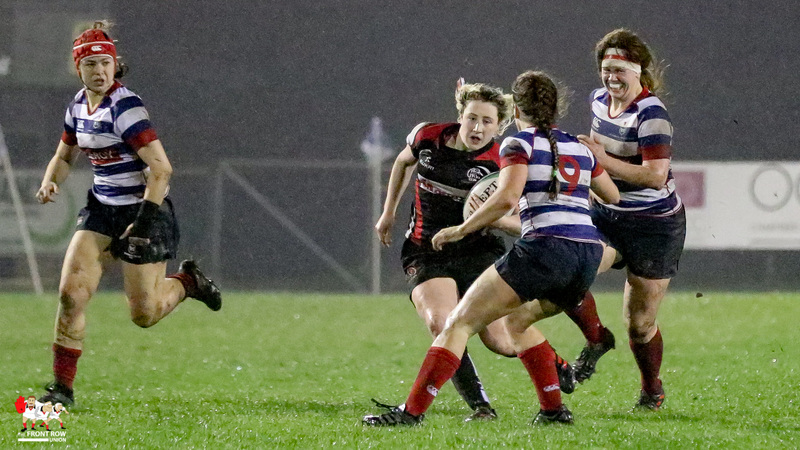 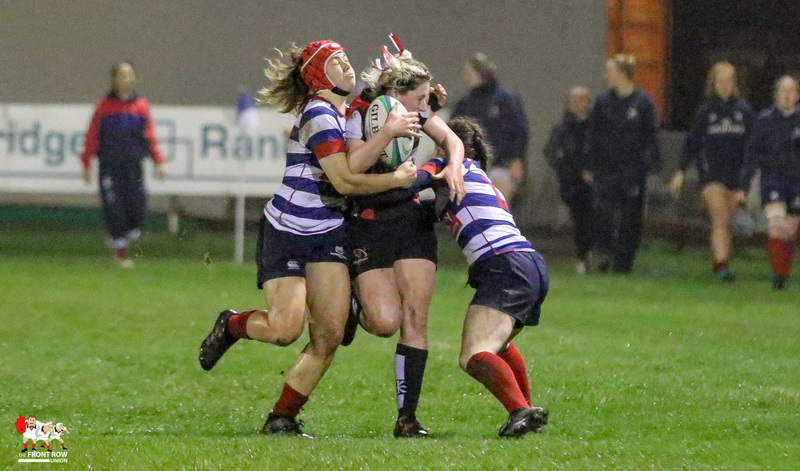 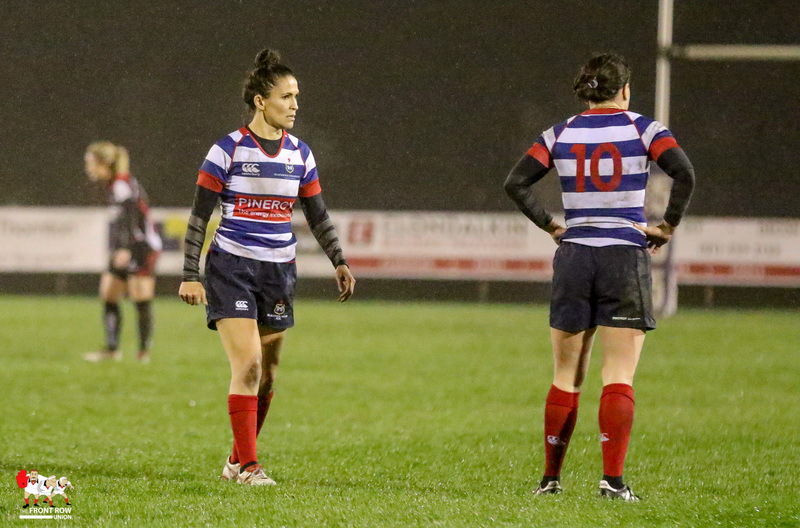 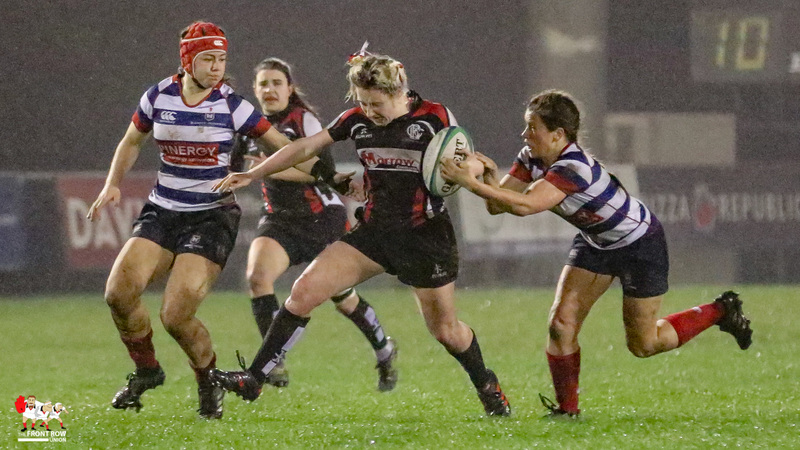 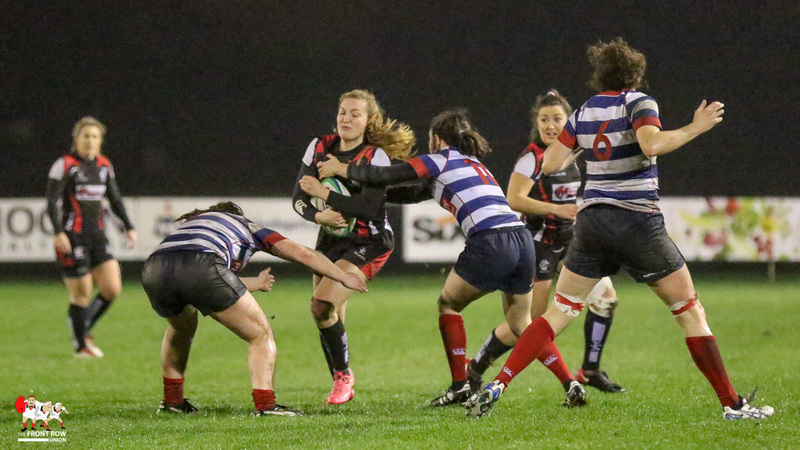 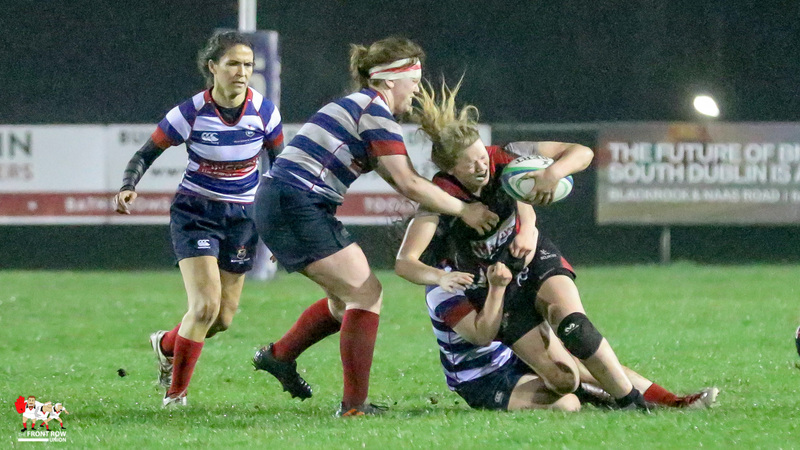 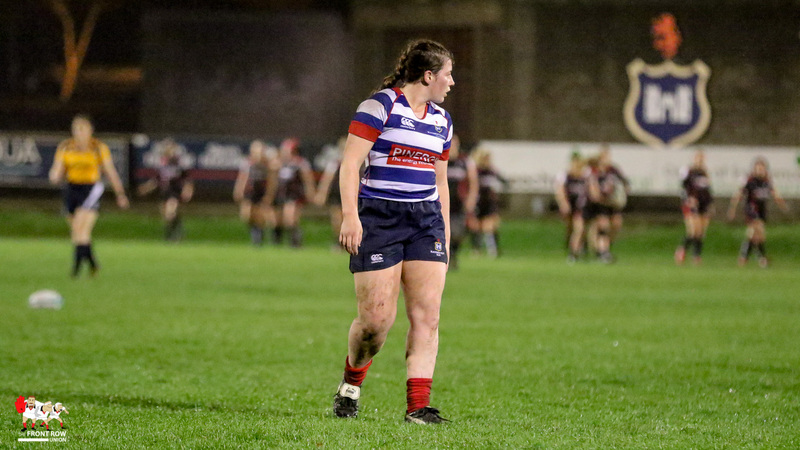 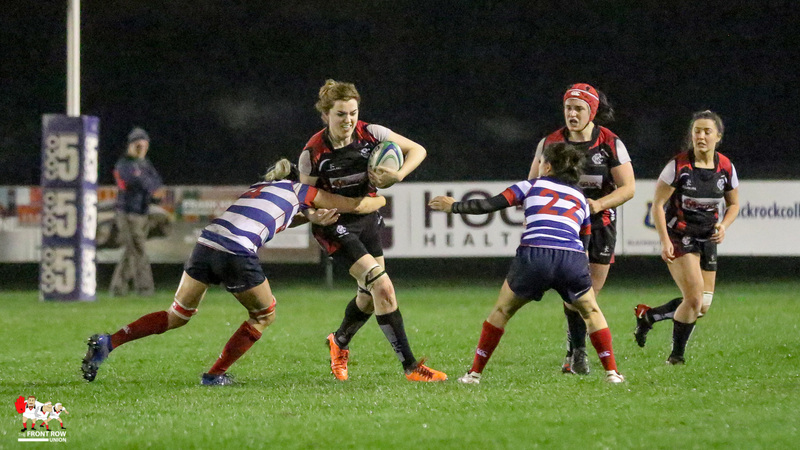 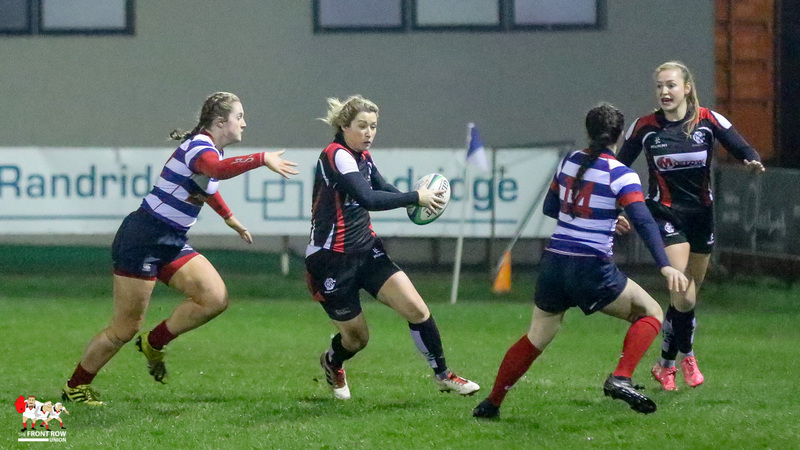 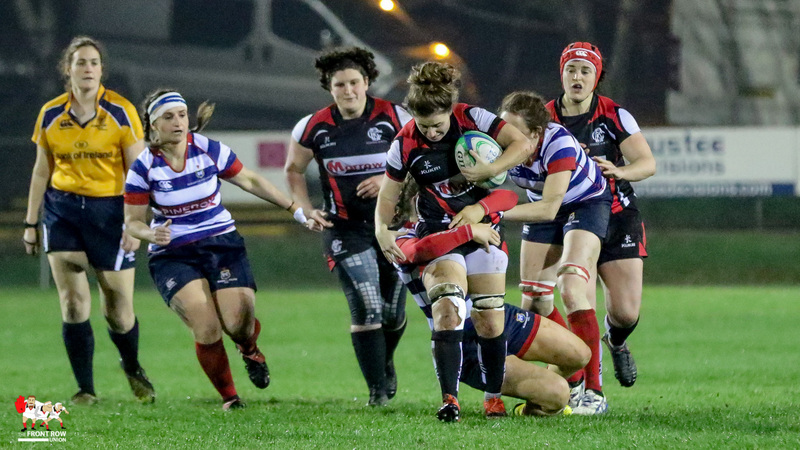 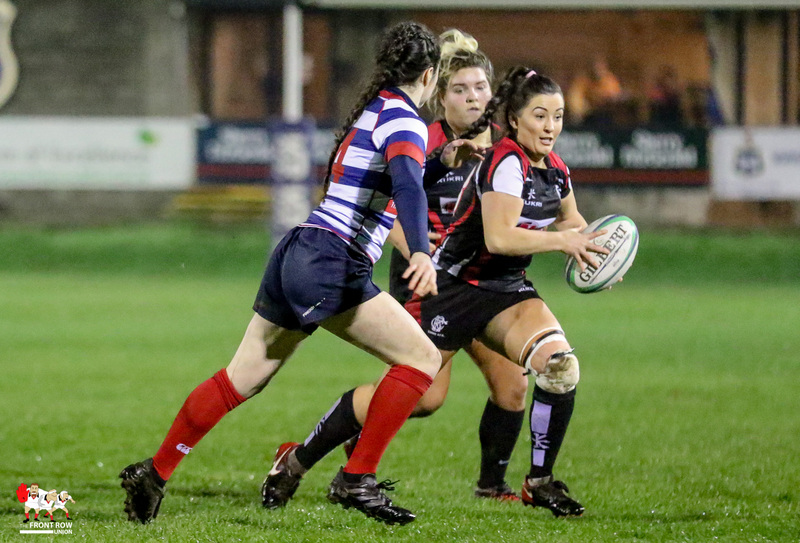 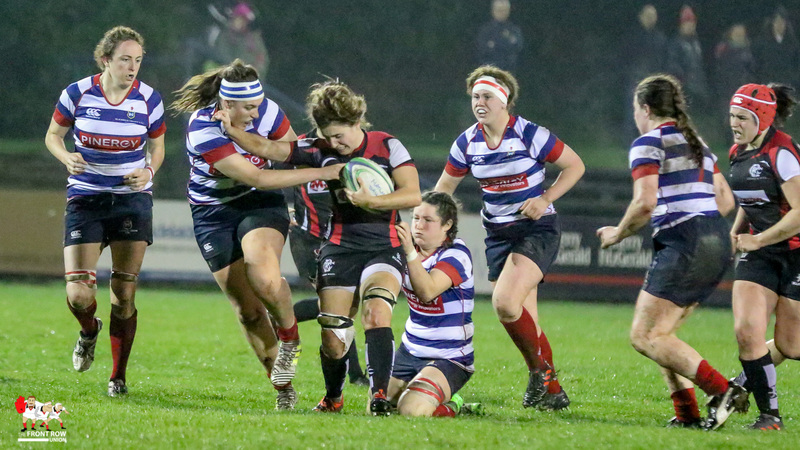 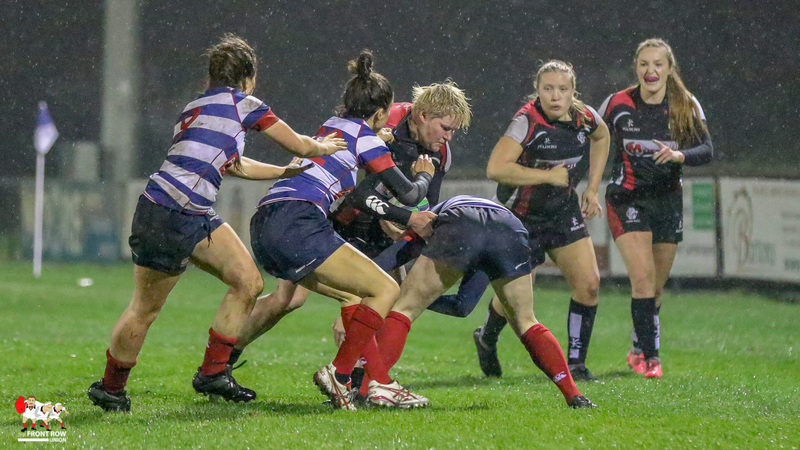 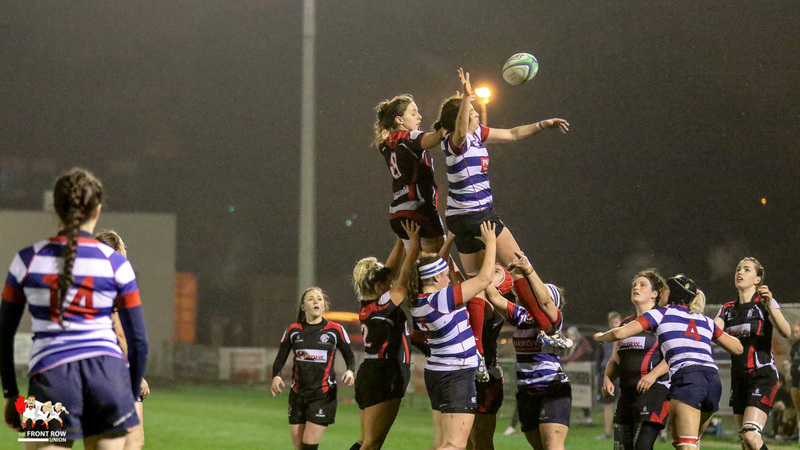 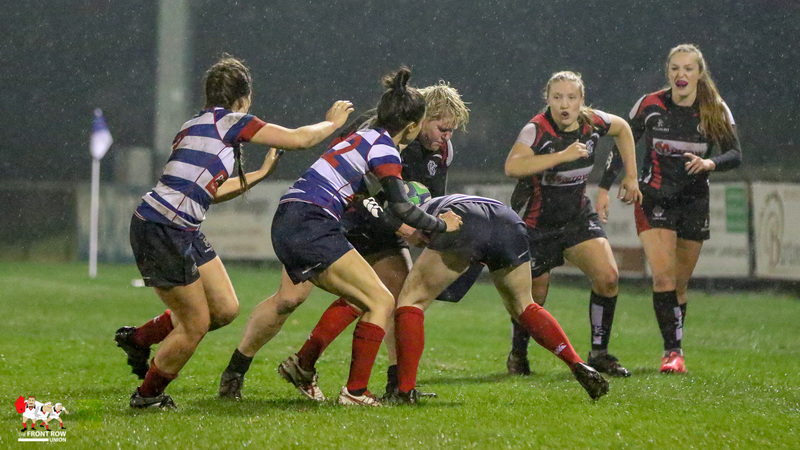 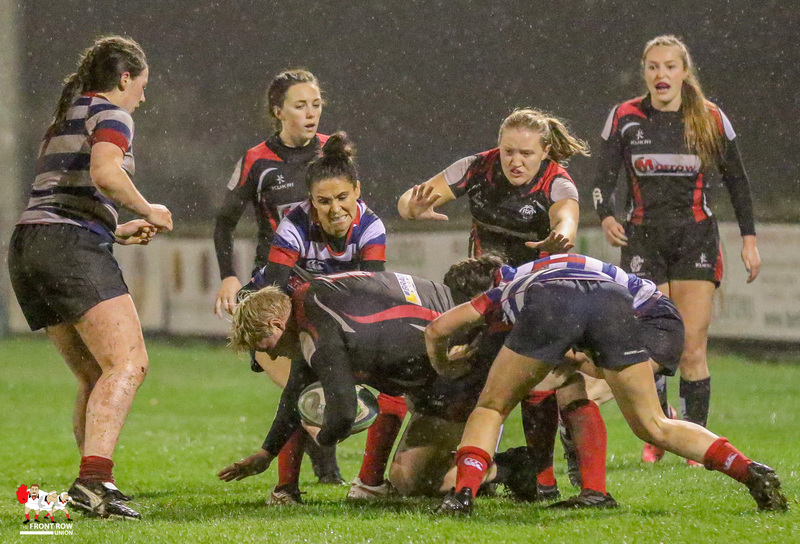 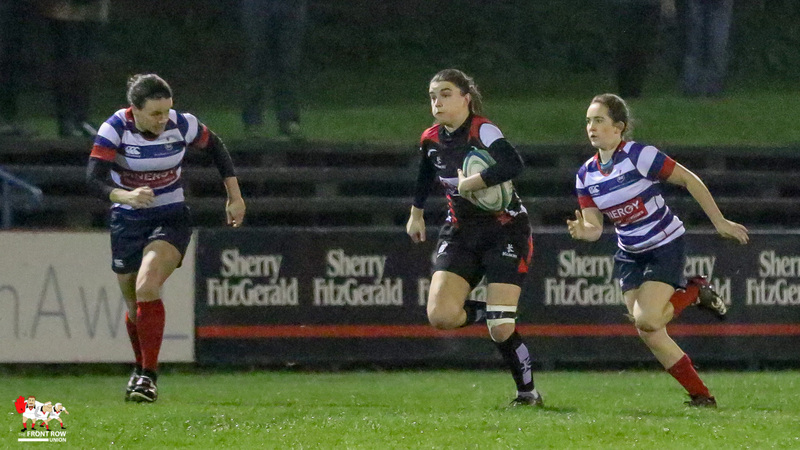 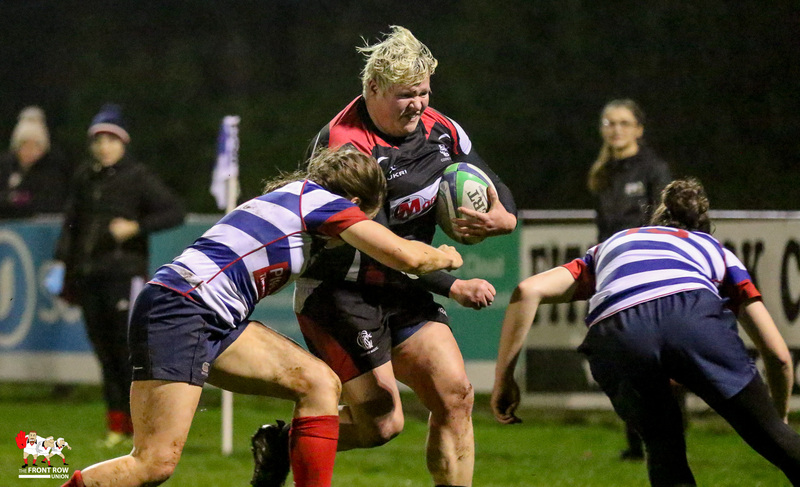 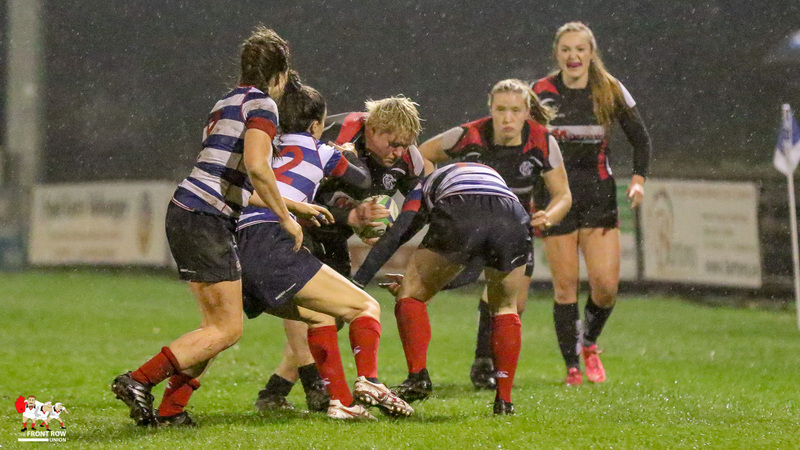 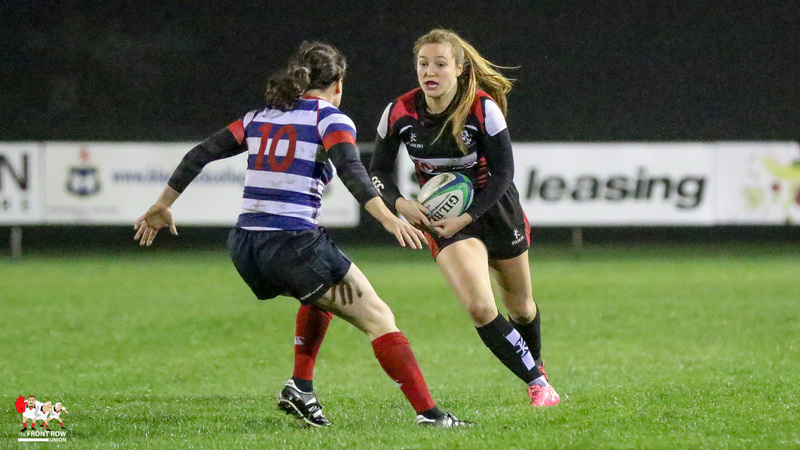 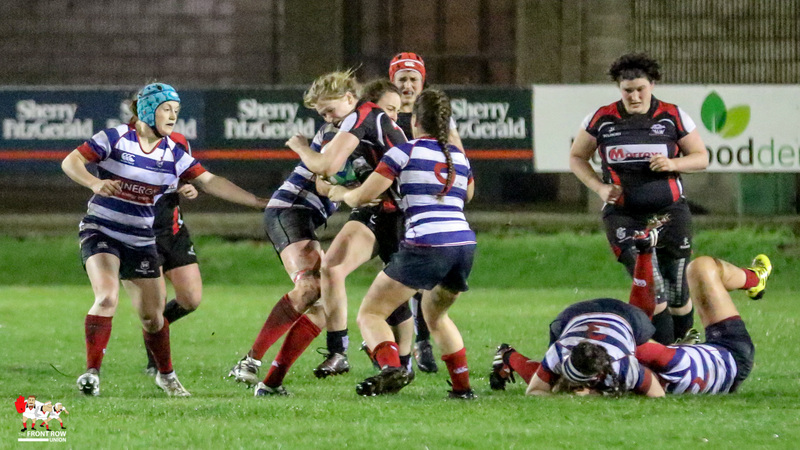 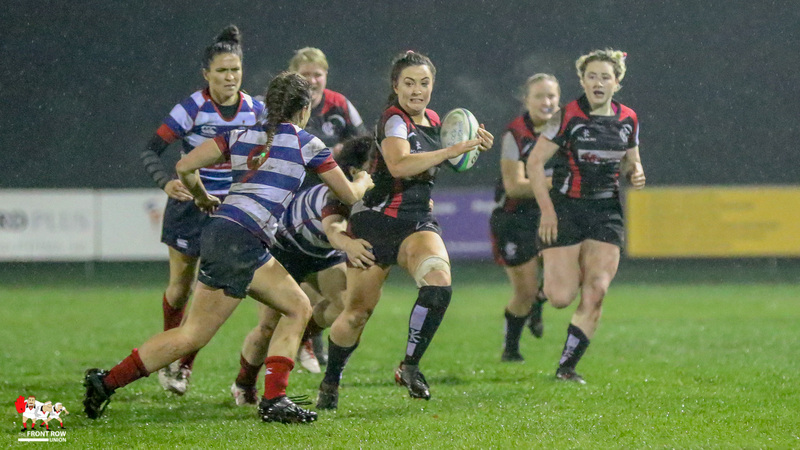 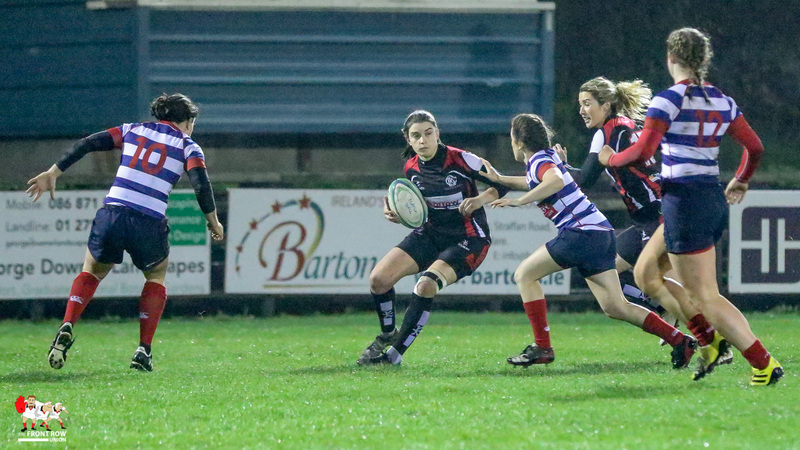 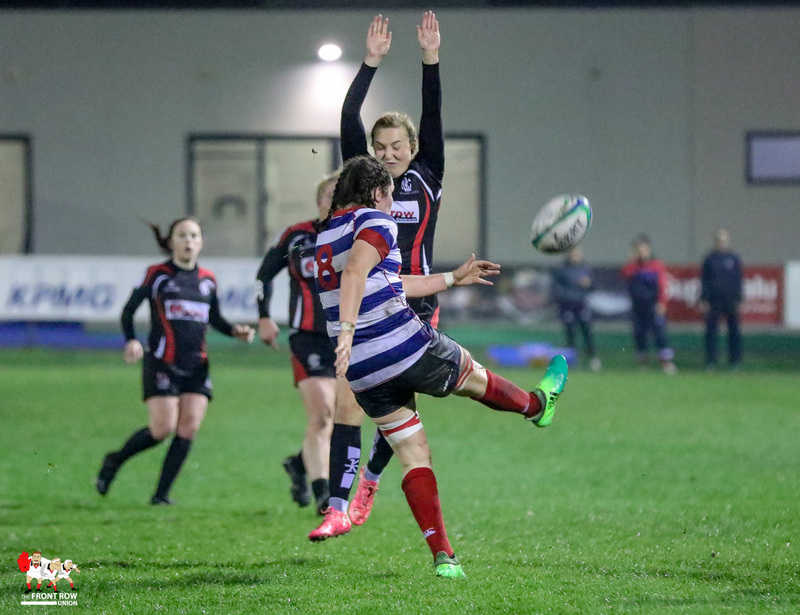 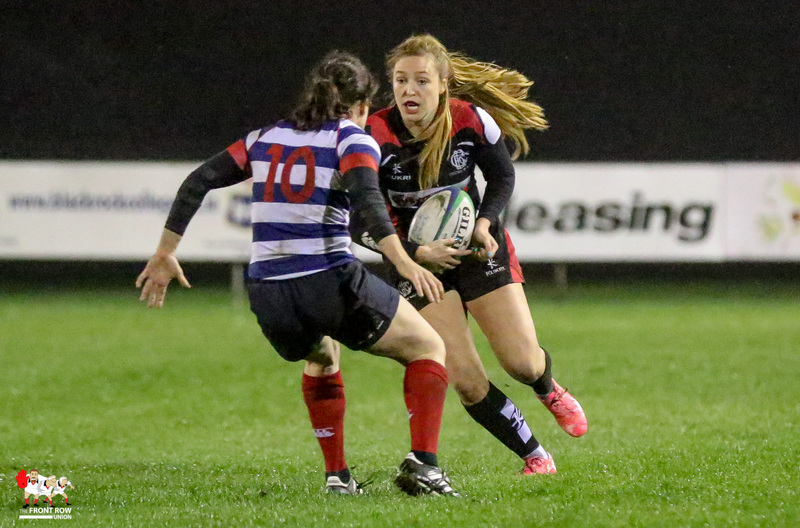 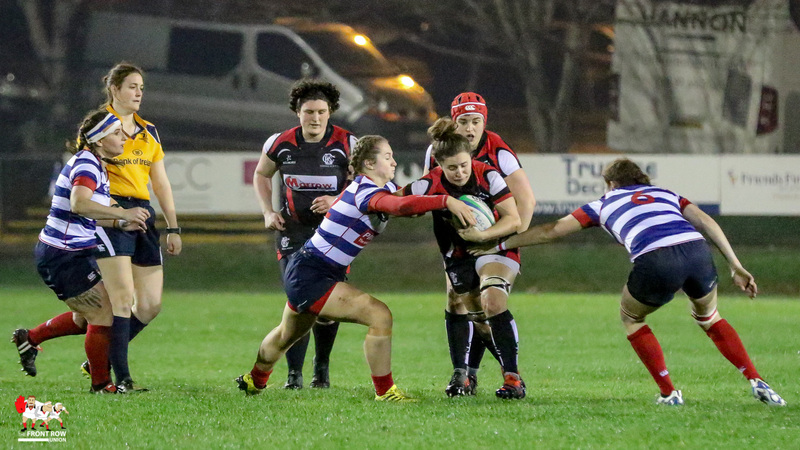 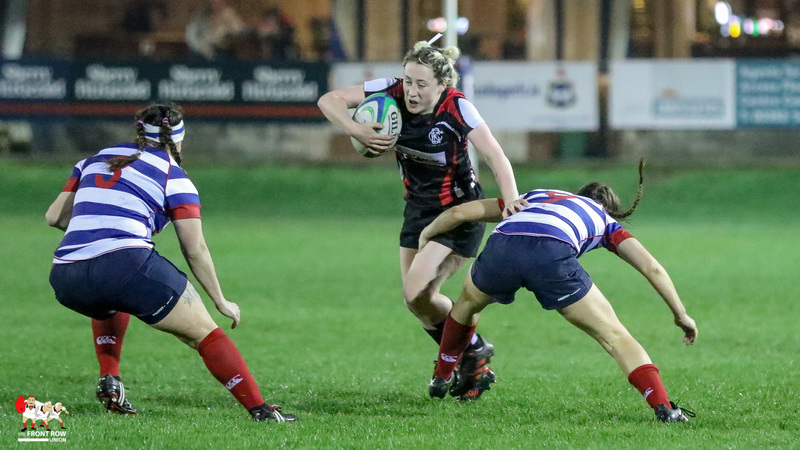 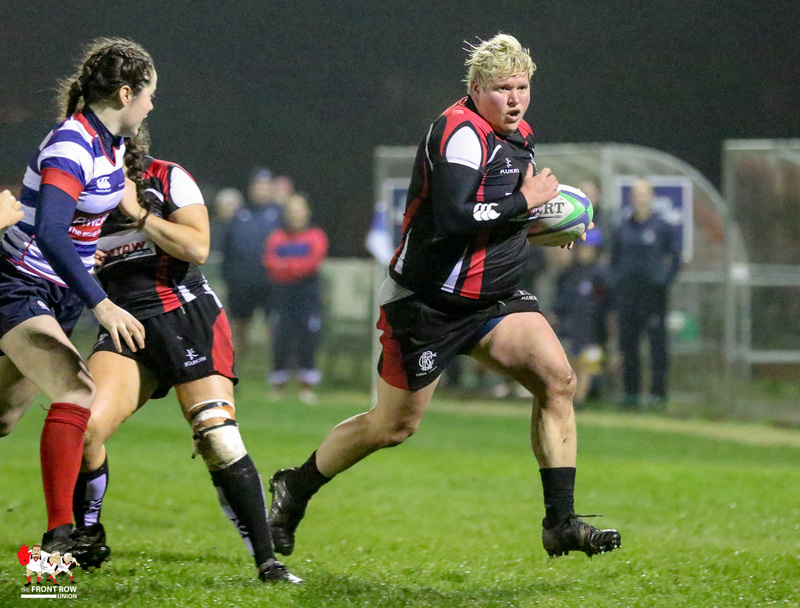 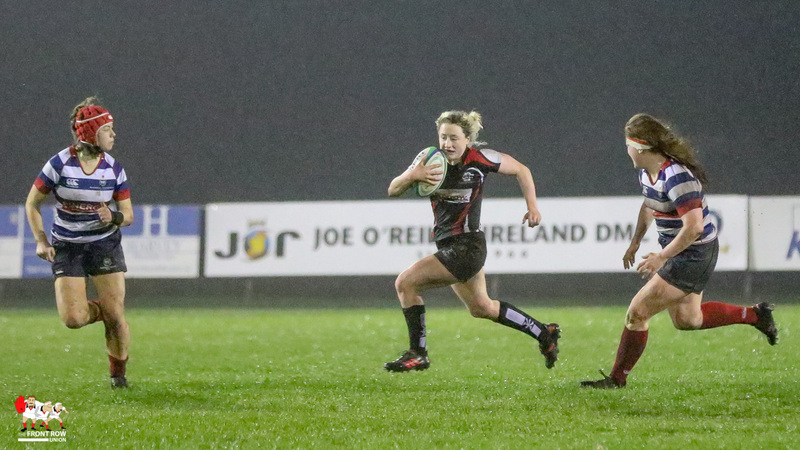 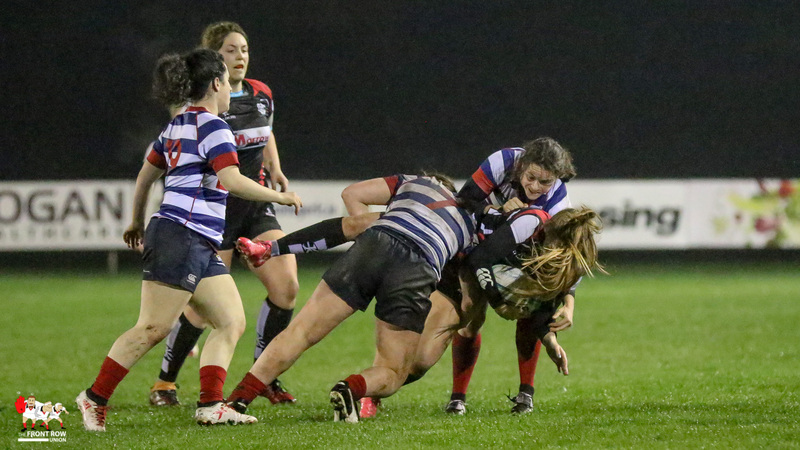 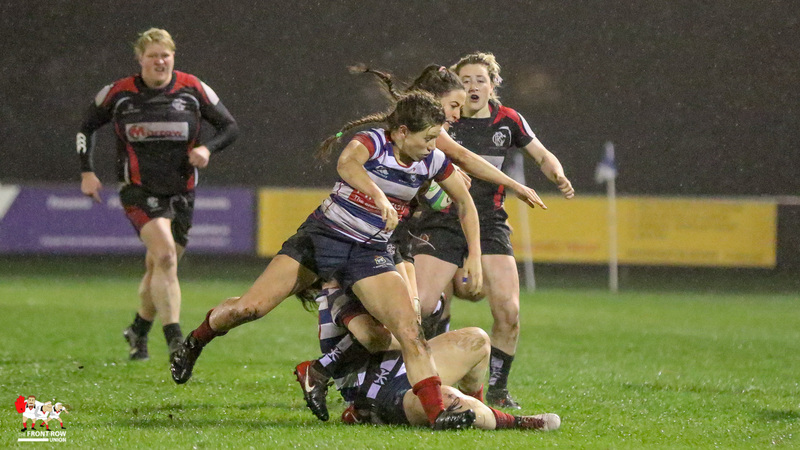 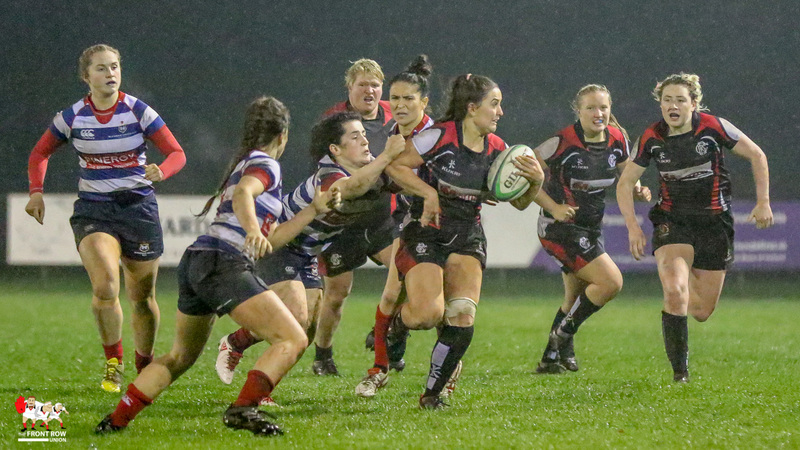 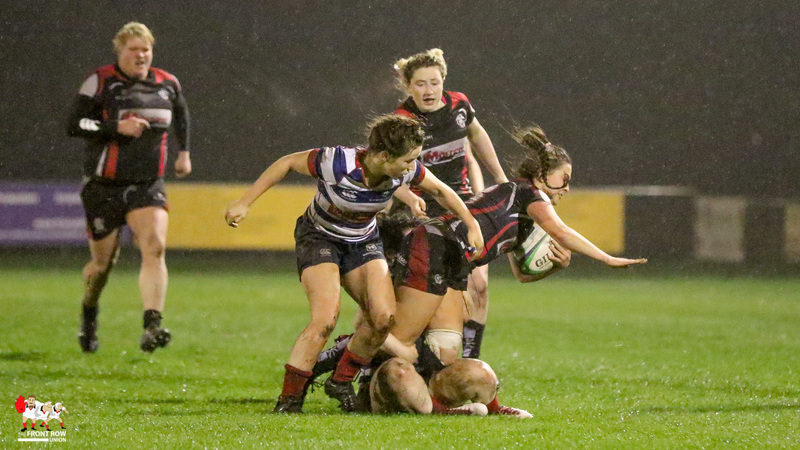 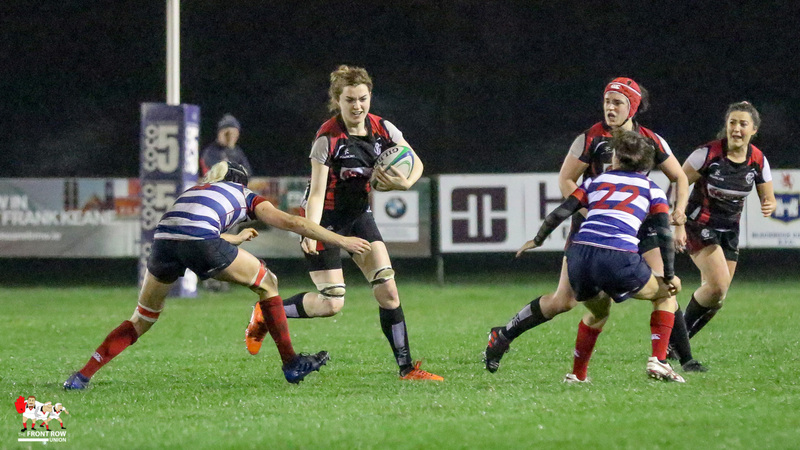 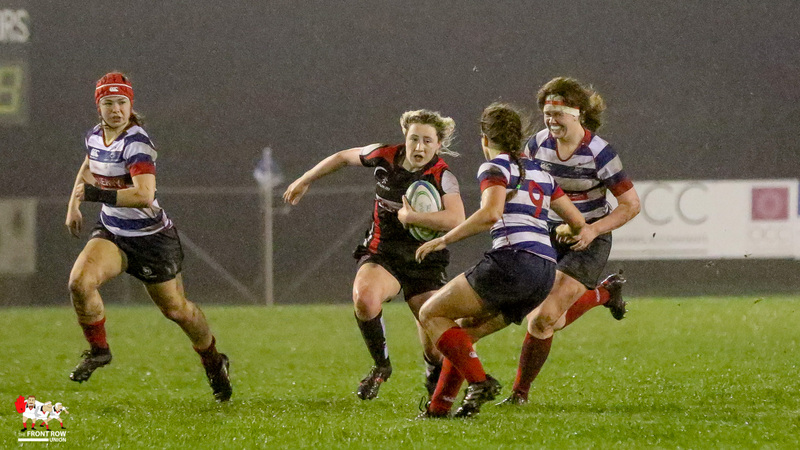 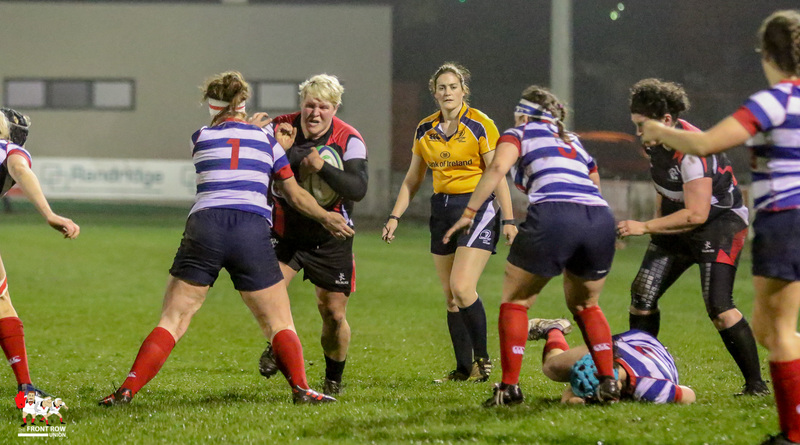 Blackrock entertained Cooke in the Women’s All Ireland League under the lights at Stradbrook on a damp Saturday evening. 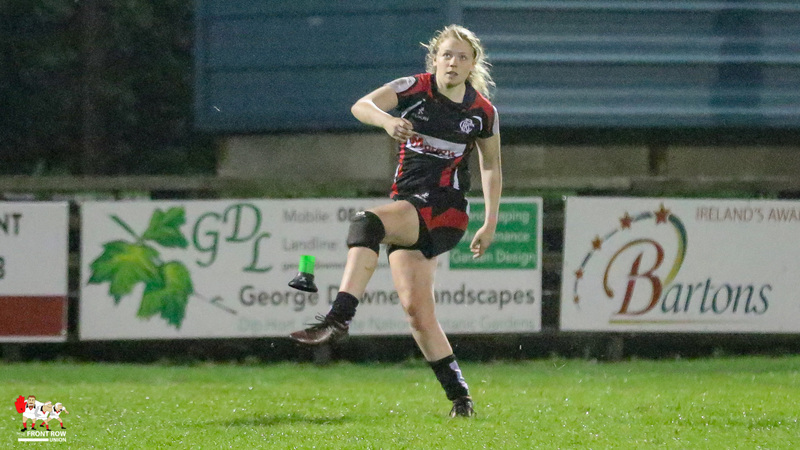 Cooke started well and took a 0 – 3 lead through a Vicky Irwin penalty after five minutes. 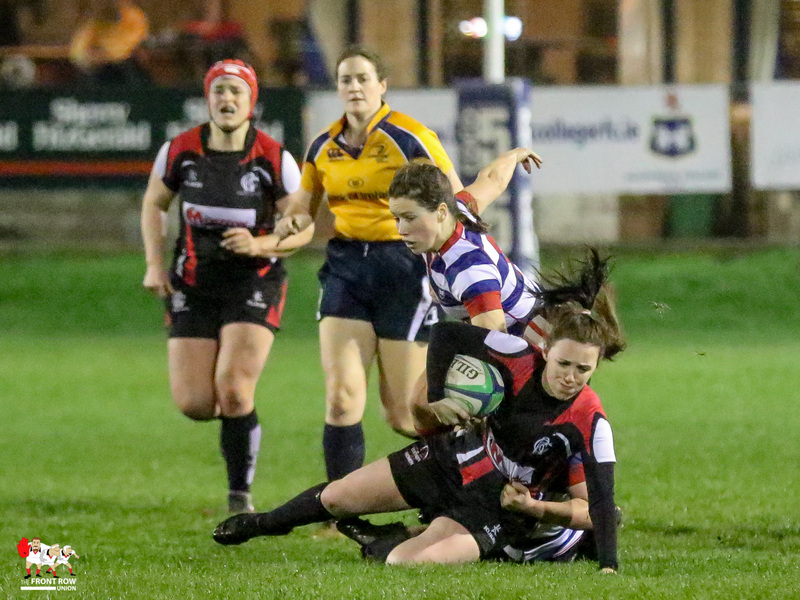 Thereafter Blackrock dominated possession and territory but struggled to break down the Cooke defence as they battle out the first quarter. 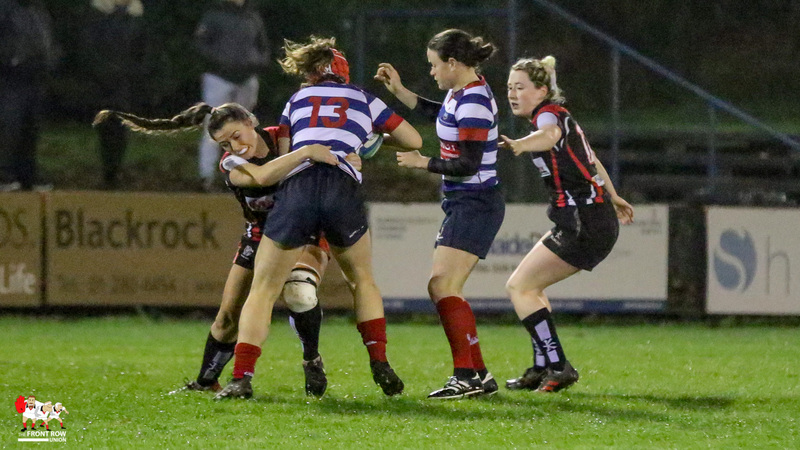 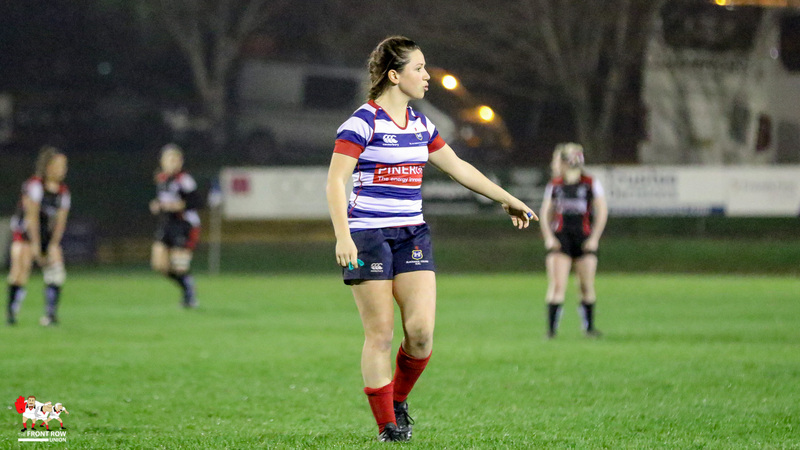 The home side eventually got on the scoreboard at the start of the second quarter with Hannah O’Connor landing an equalising penalty and straight from the restart O’Connor broke upfield for Ali Coleman to score close to the posts. 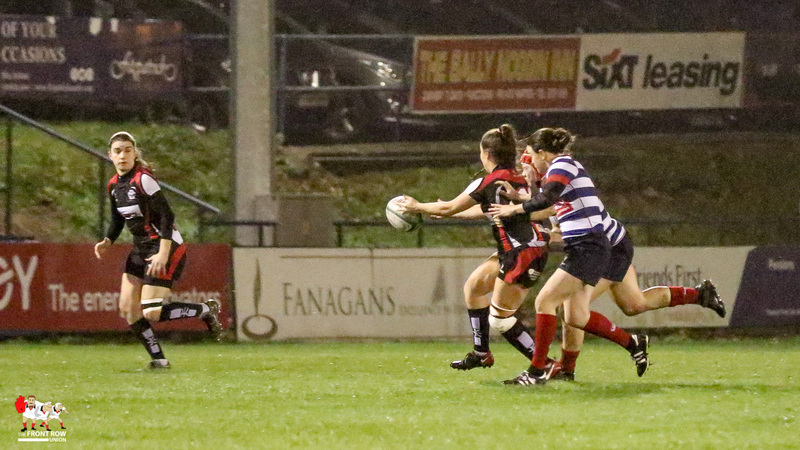 O’Connor converted to give Blackrock a 10 – 3 lead. 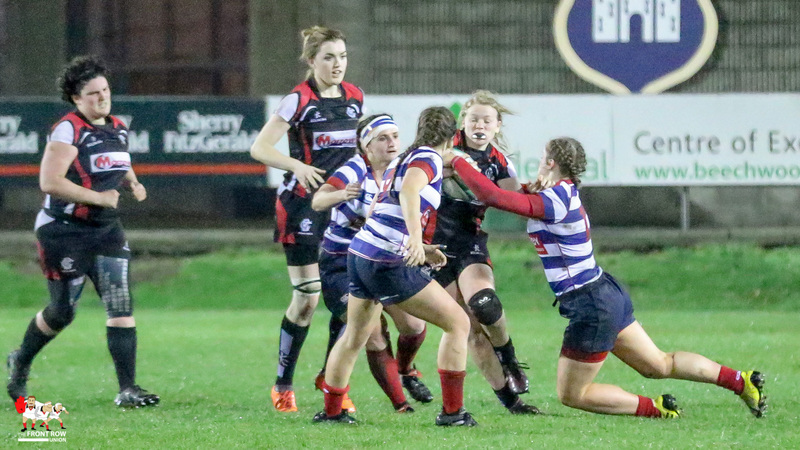 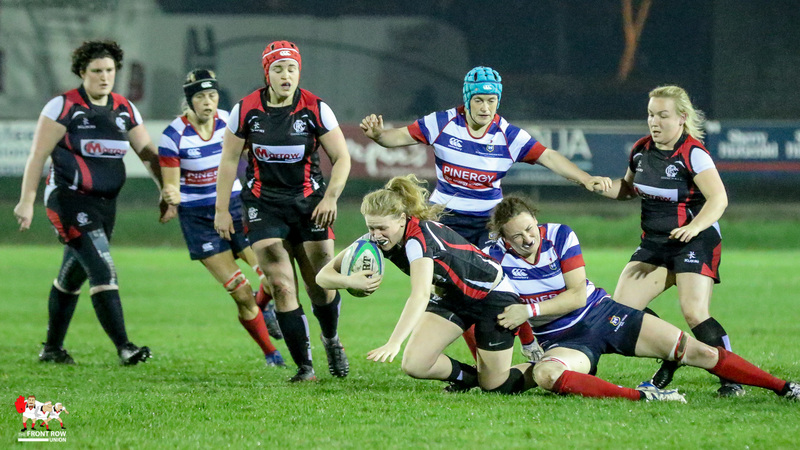 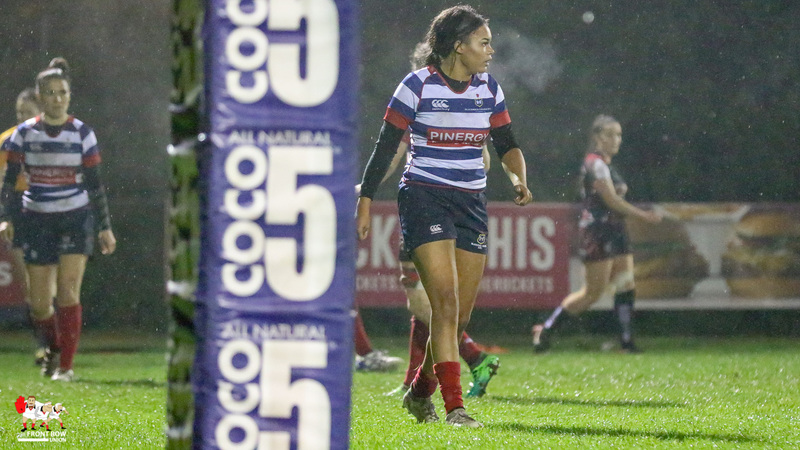 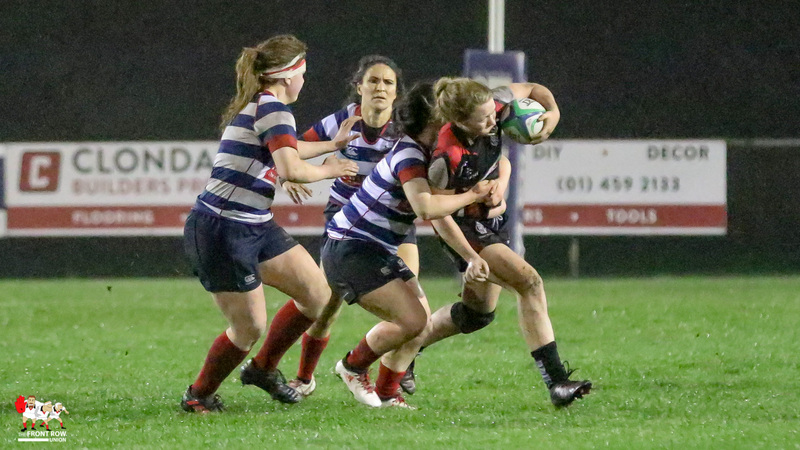 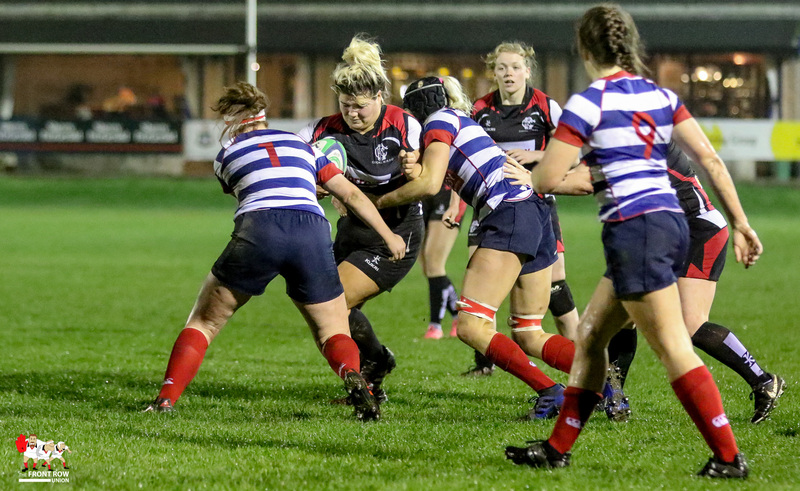 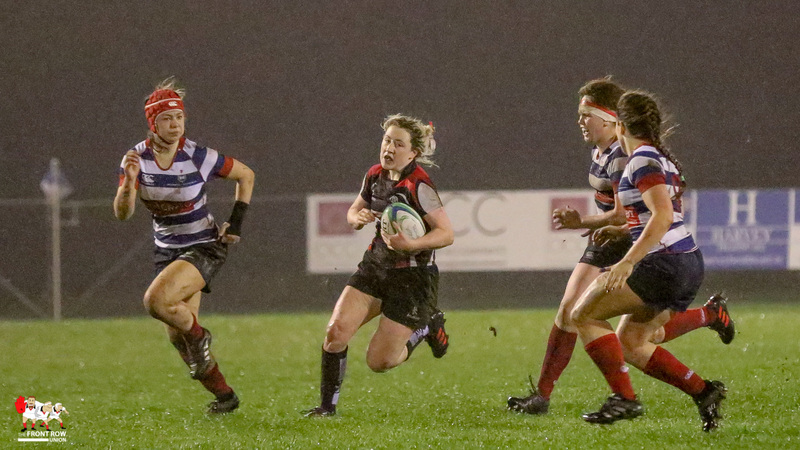 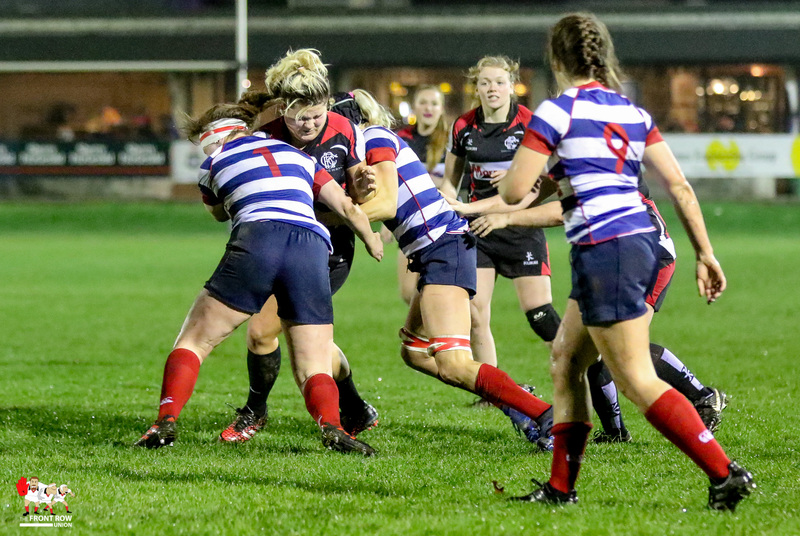 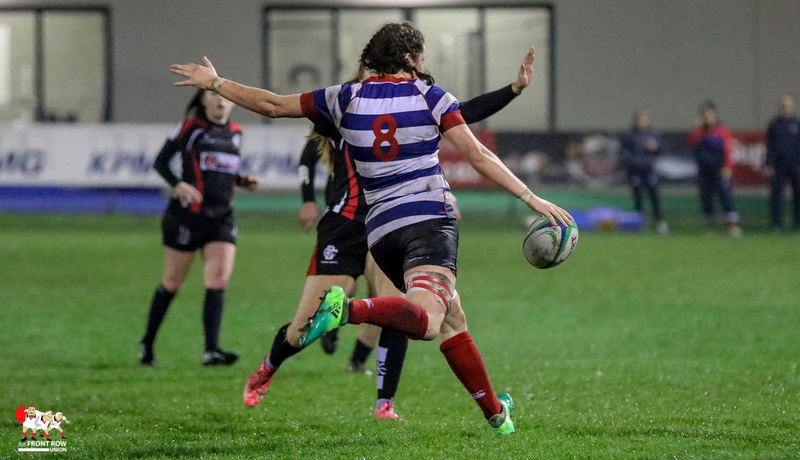 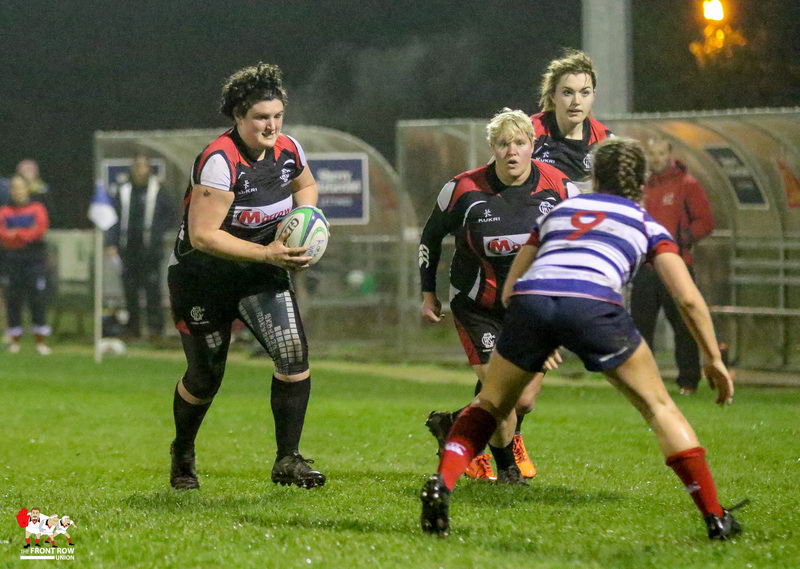 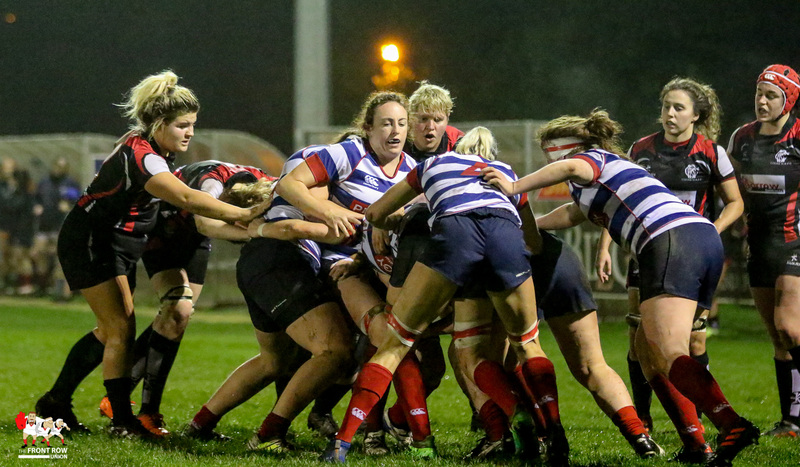 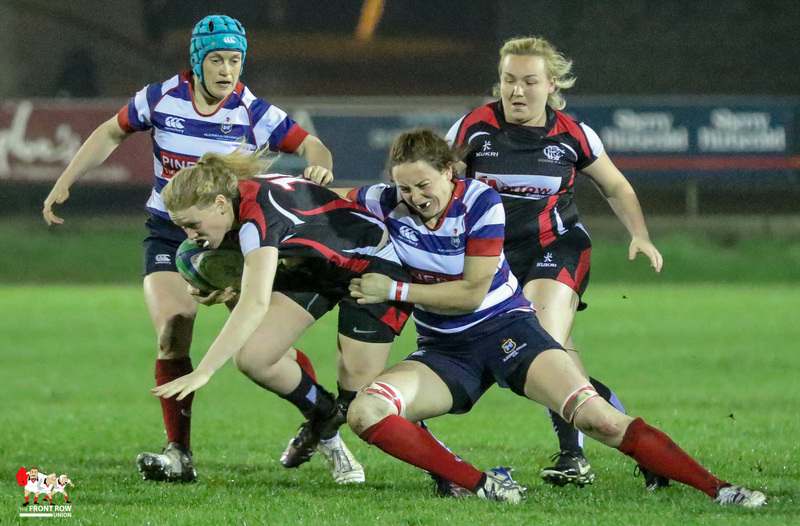 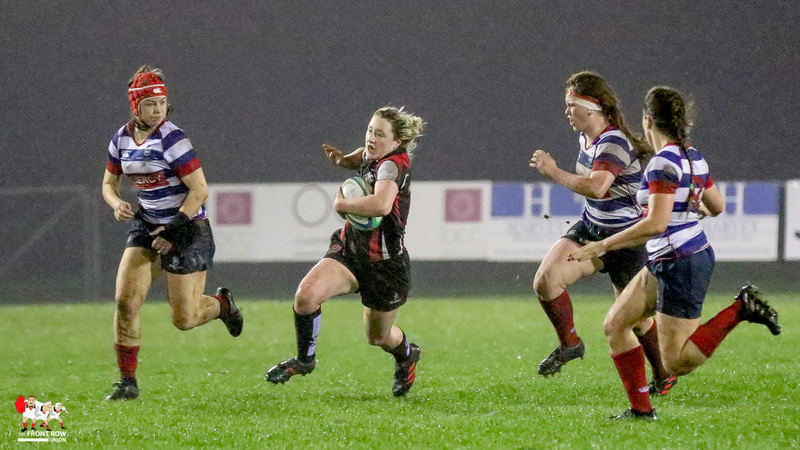 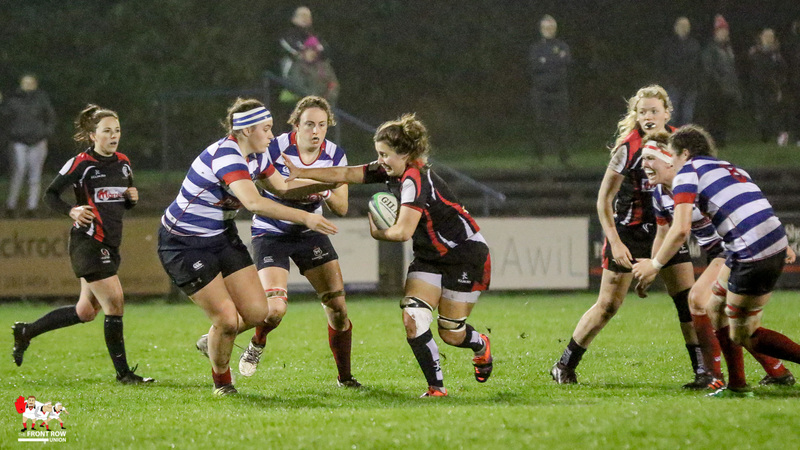 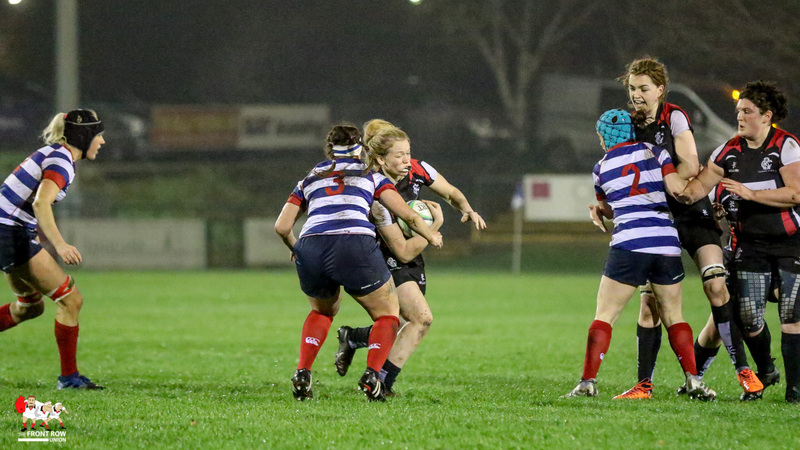 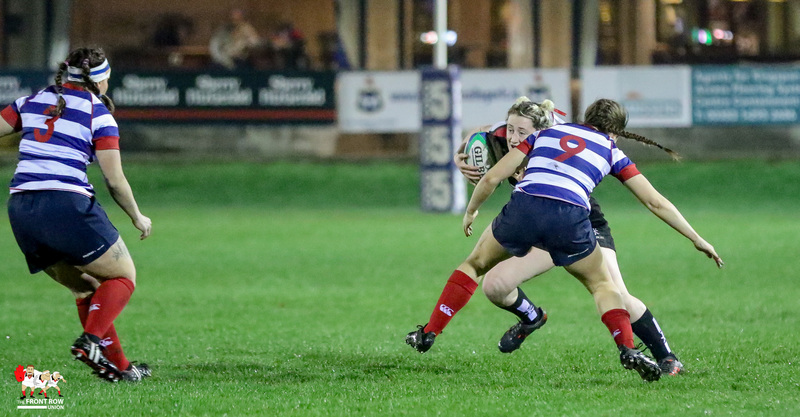 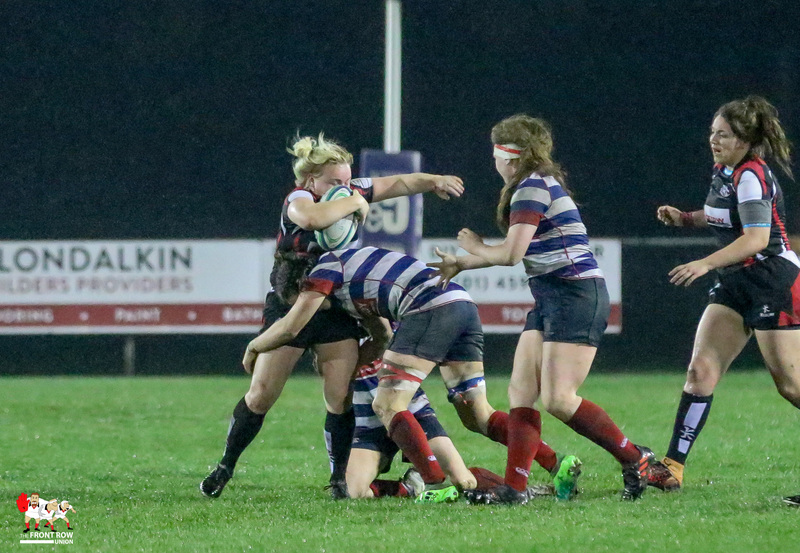 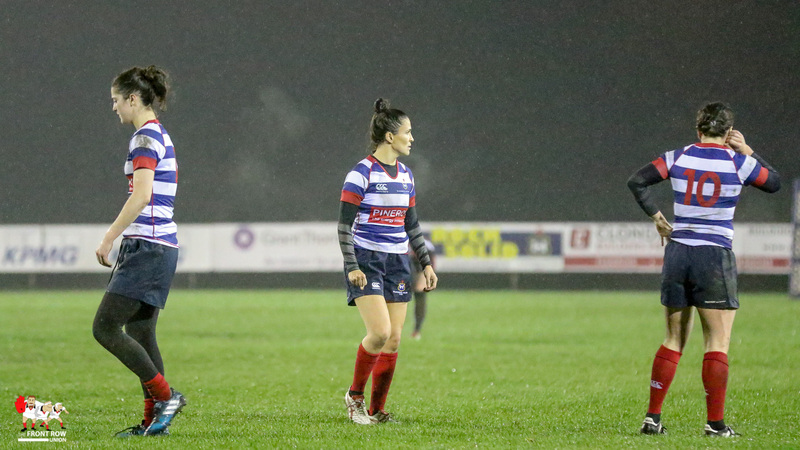 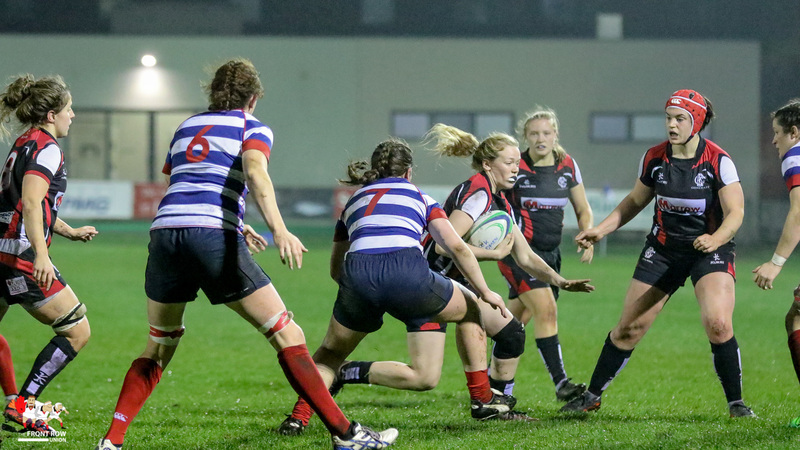 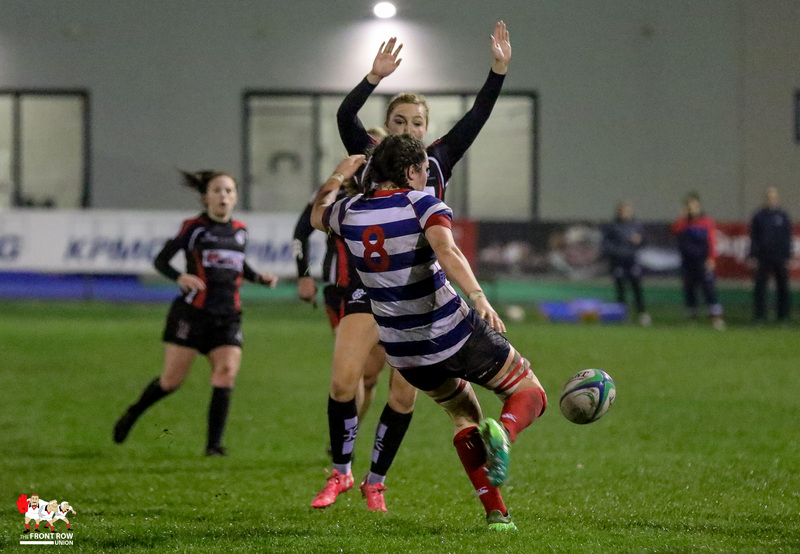 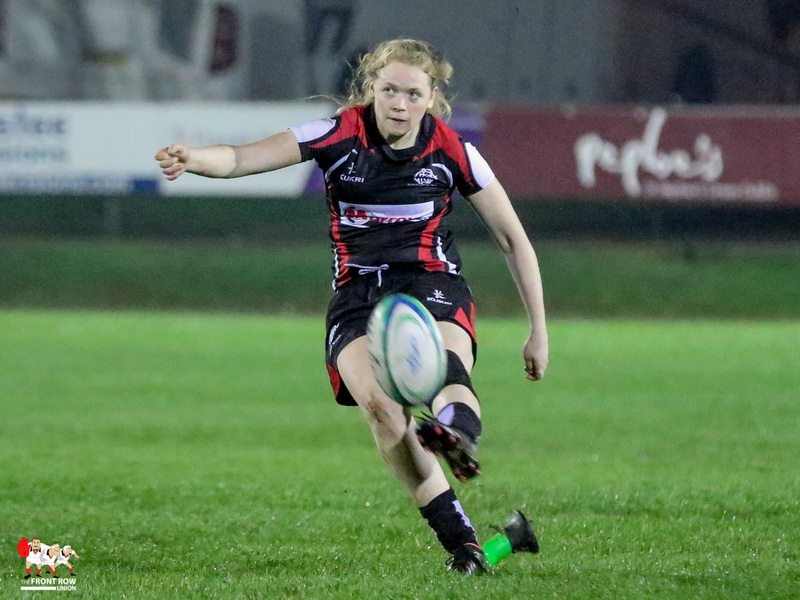 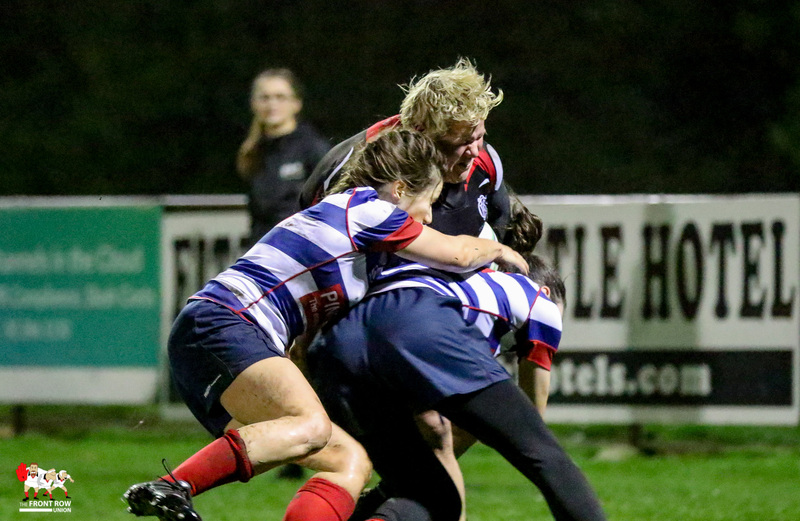 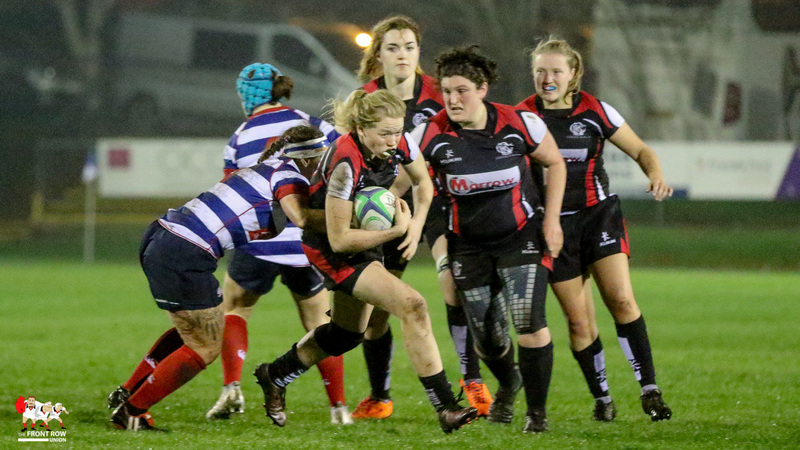 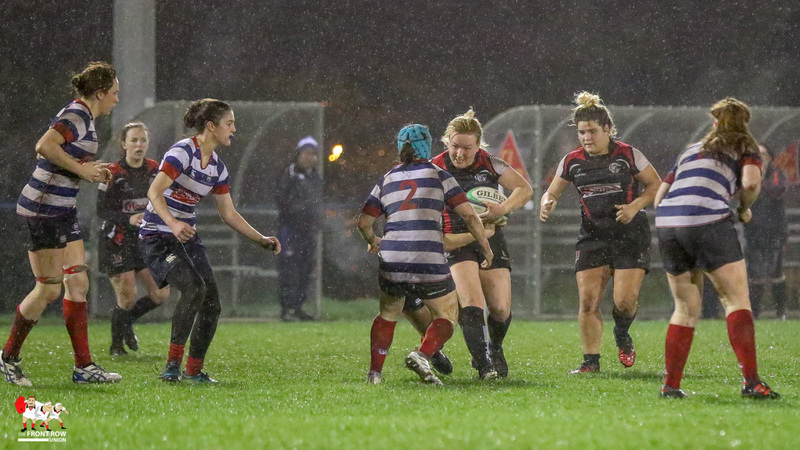 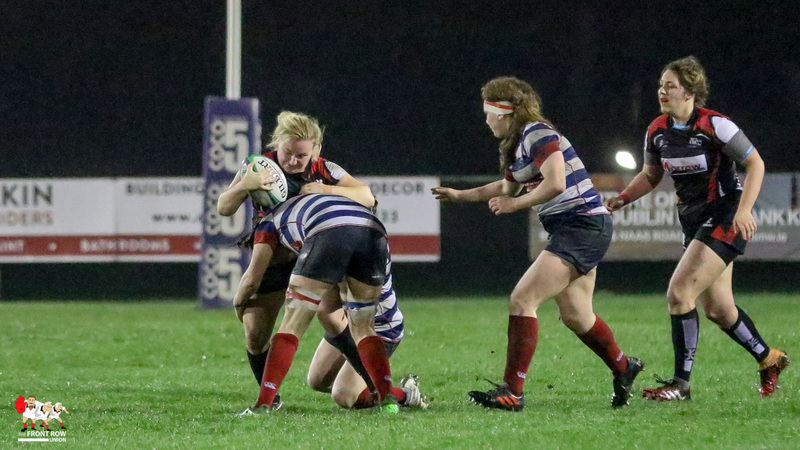 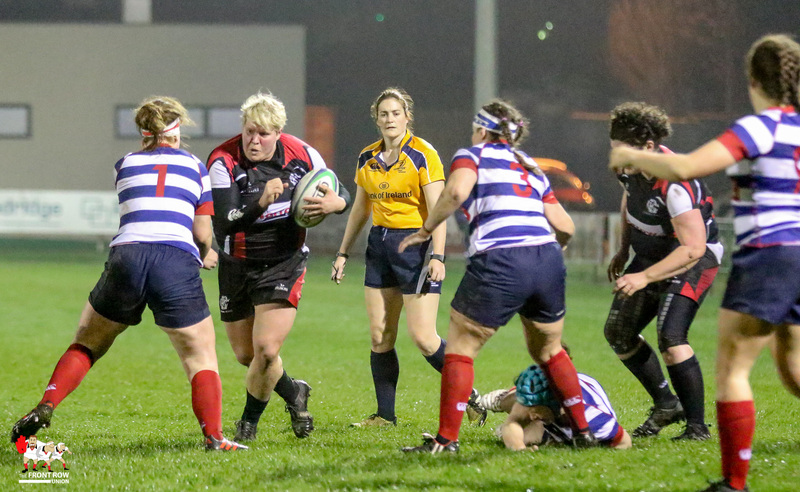 Cooke had continually cleared their lines through good work on the right wing from Teah Maguire but it was a midfield break from Kelly McCormill, that was moved right, that saw Ilse van Staden cross for an unconverted try for the visitors to take the score to 10 – 8 at the break. 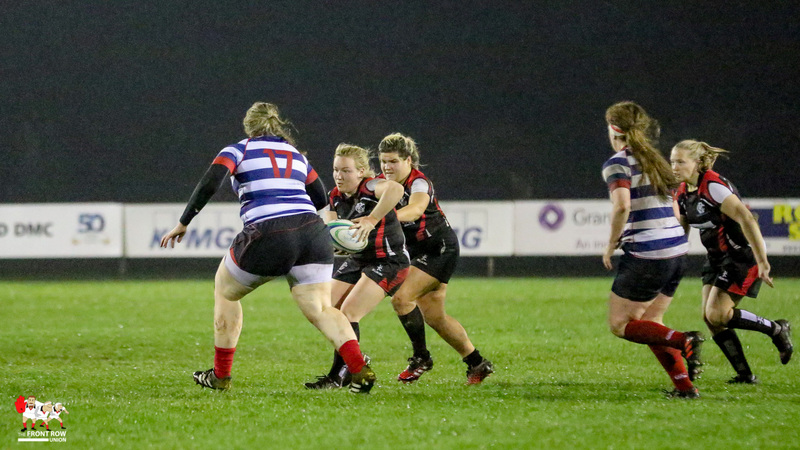 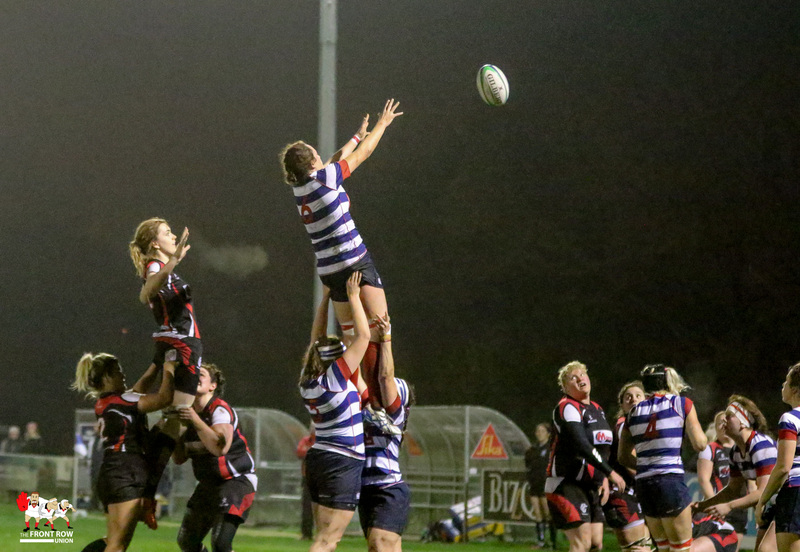 The second half was uneventful as play continued to concentrate on the centre of the park. 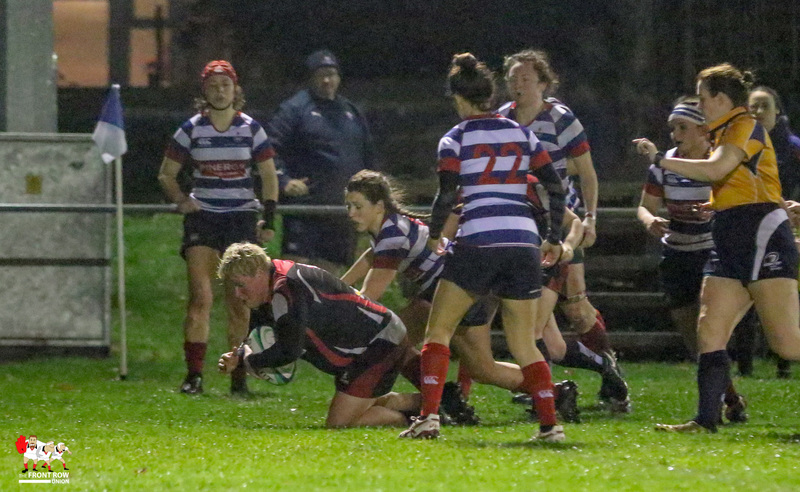 Both sides put in plenty of work, but nothing seemed to stick until a late break by Niamh Griffin was finished off out wide by Jackie Shiels to decide the game. 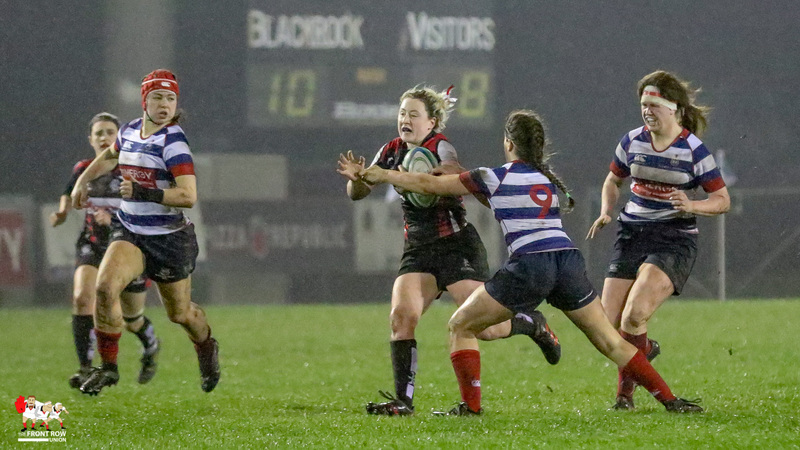 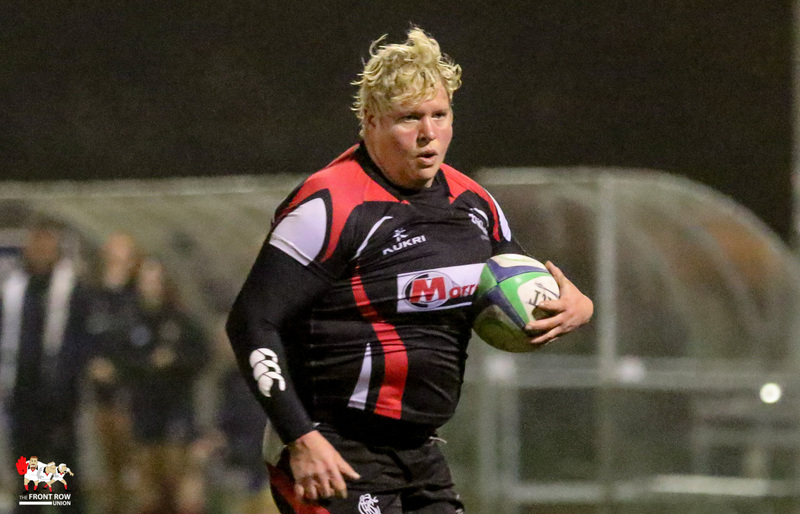 The impressive O’Connor added the conversion and with no further score the game ended with a 17 – 8 win for Blackrock.